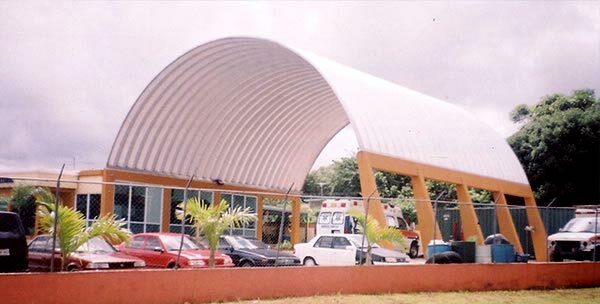 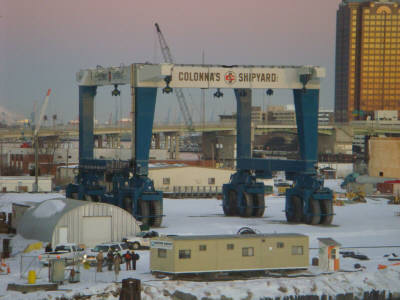 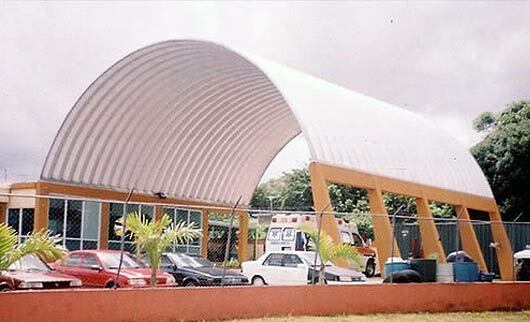 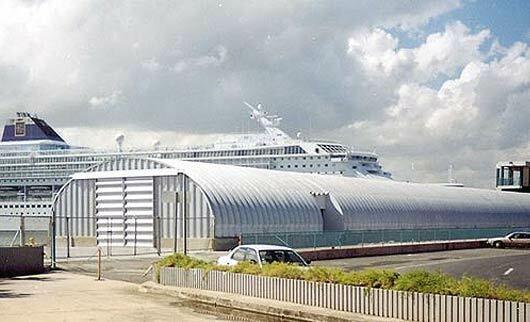 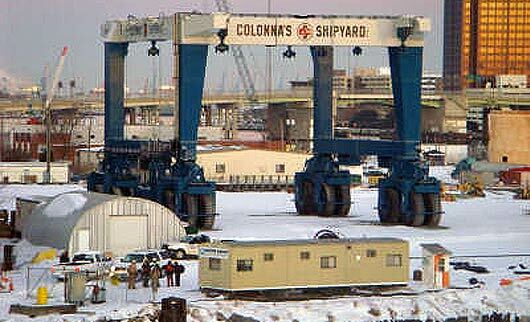 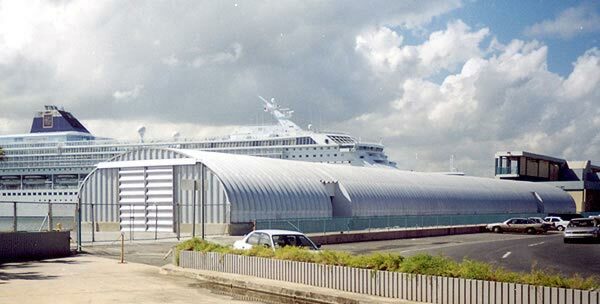 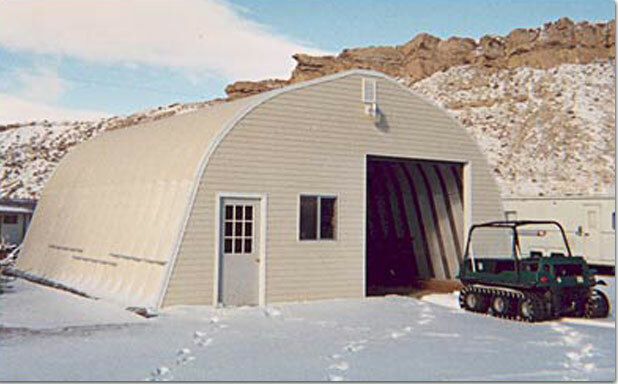 Quonset Huts have had worldwide representation. 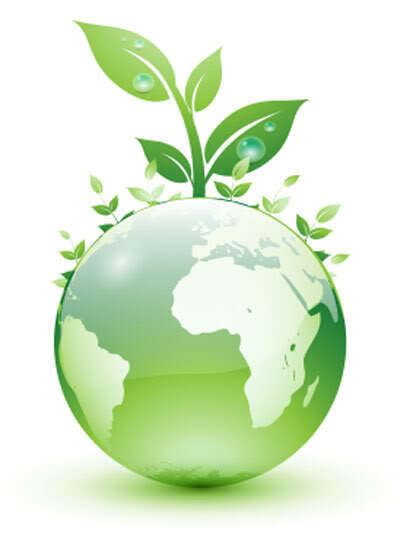 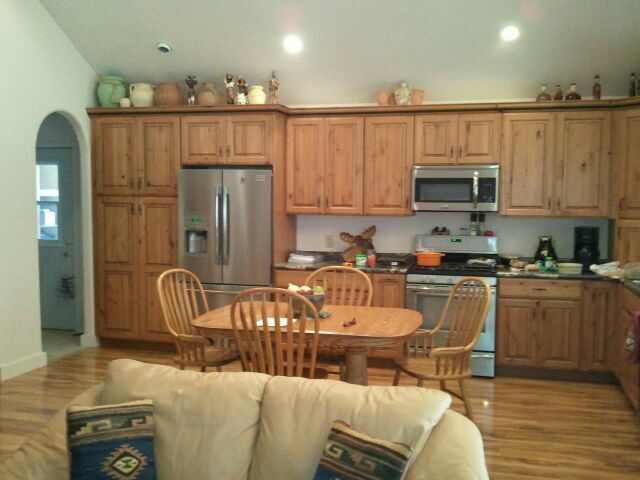 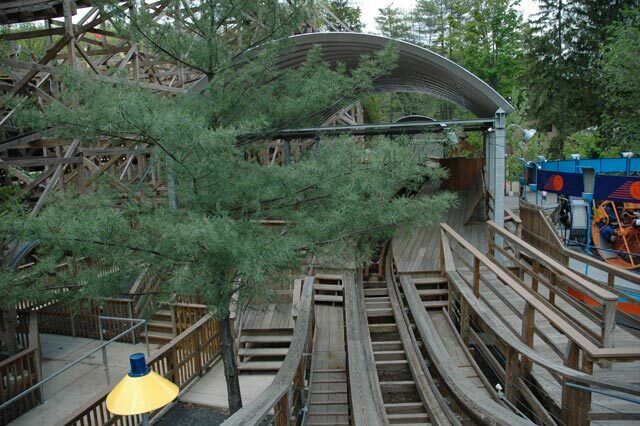 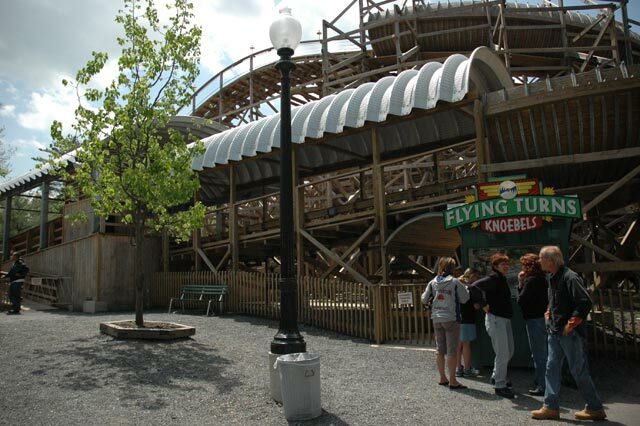 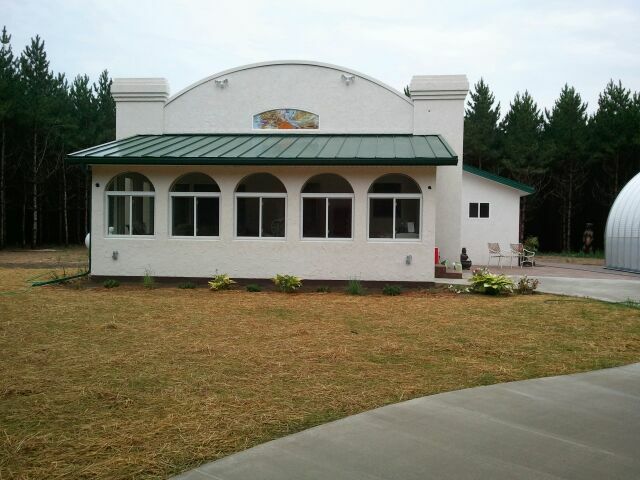 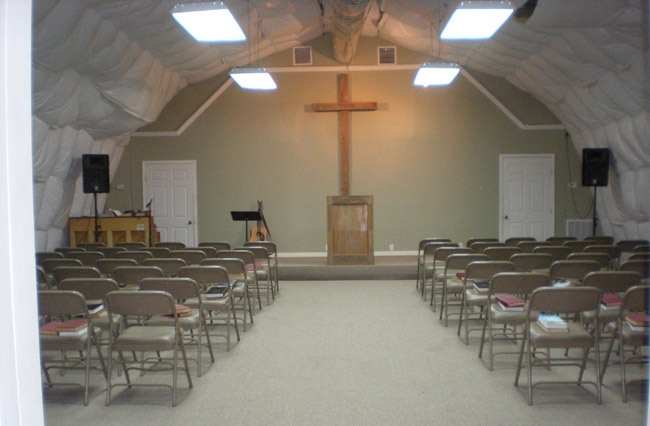 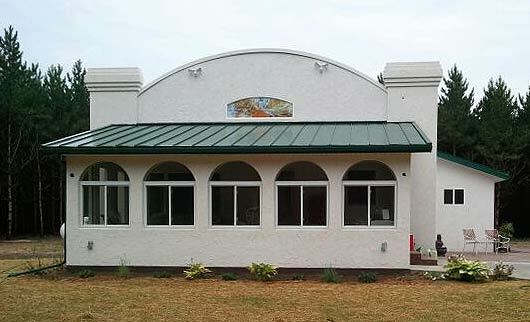 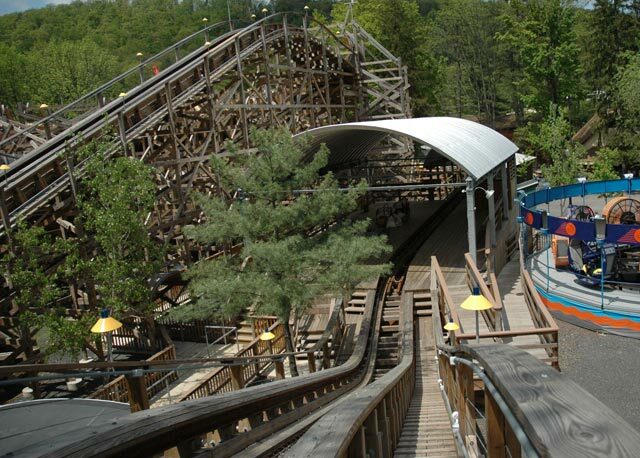 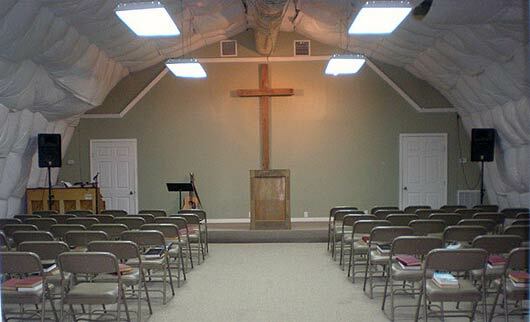 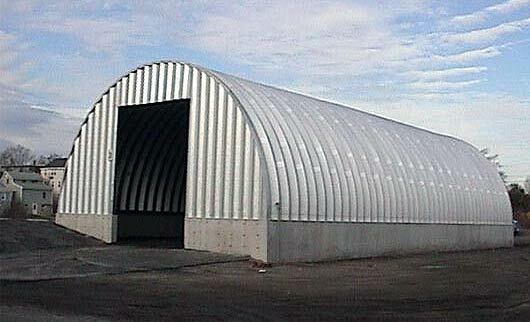 These panel style or arch style buildings have been famous for their strength and utmost versatility. 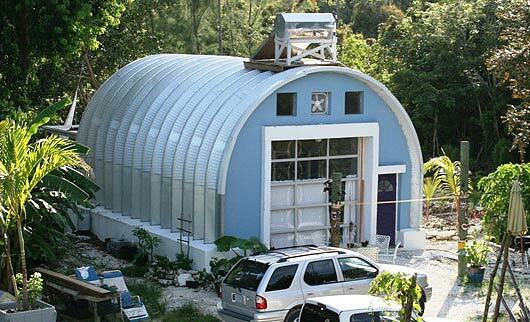 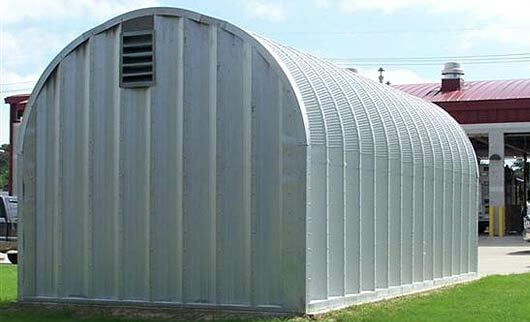 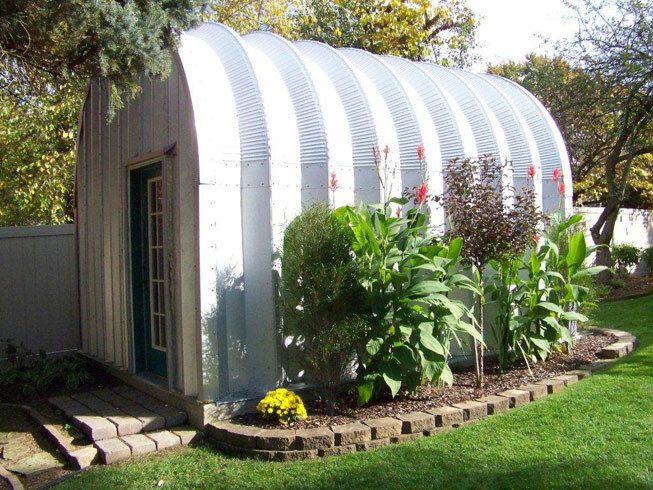 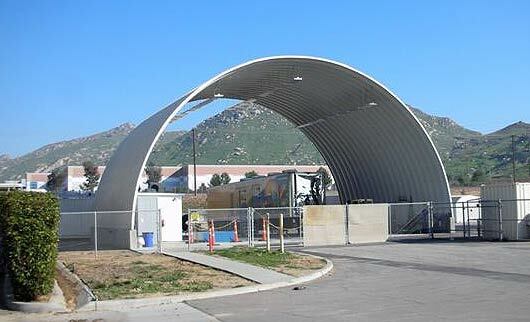 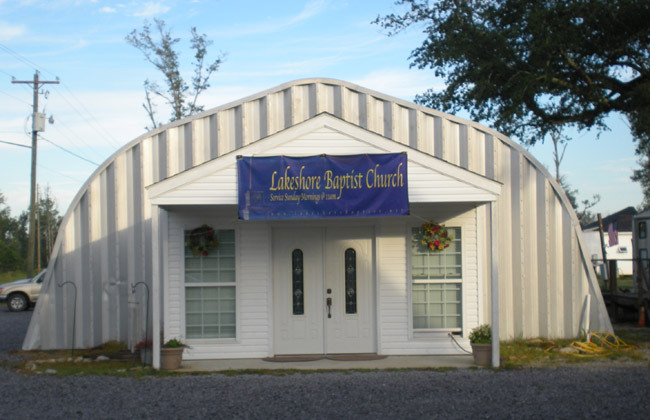 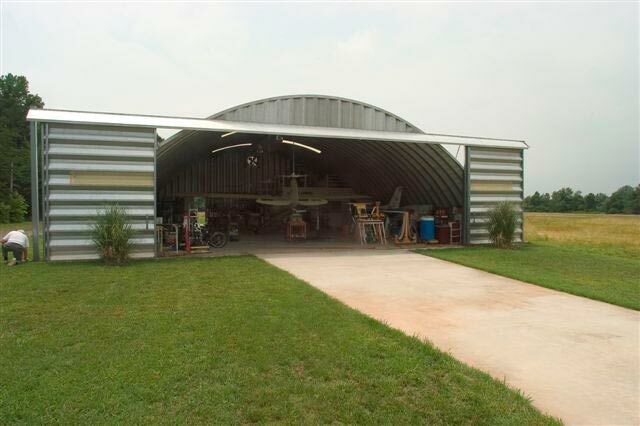 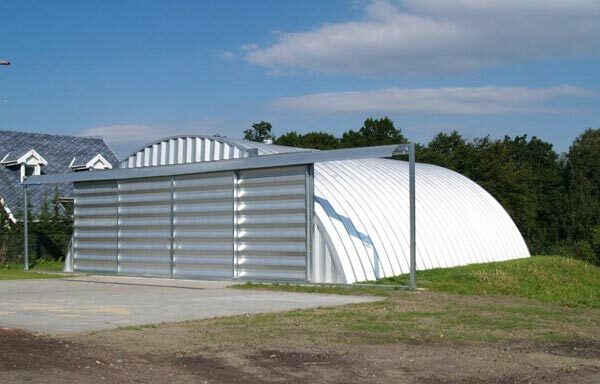 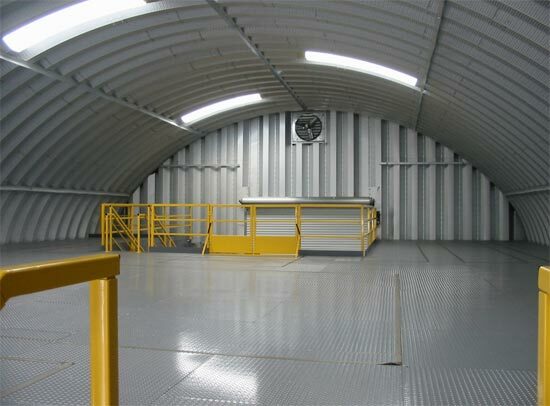 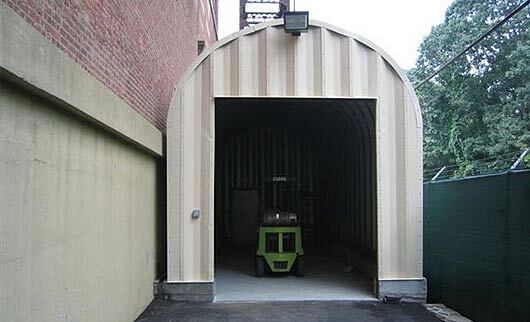 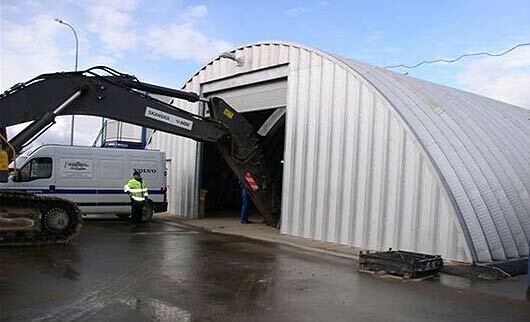 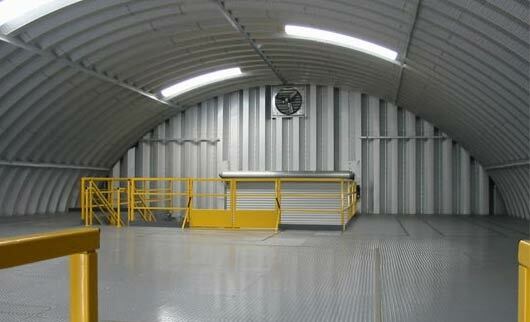 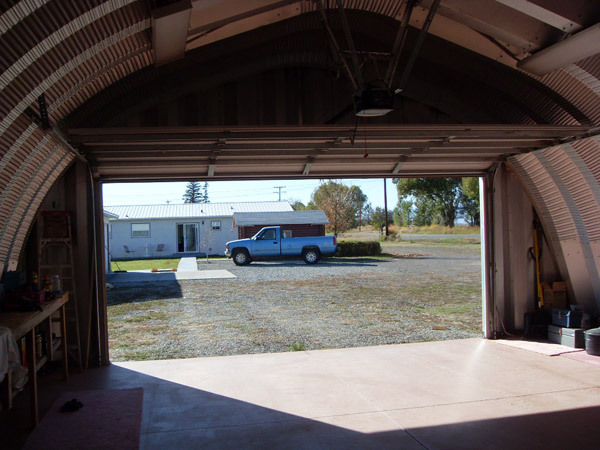 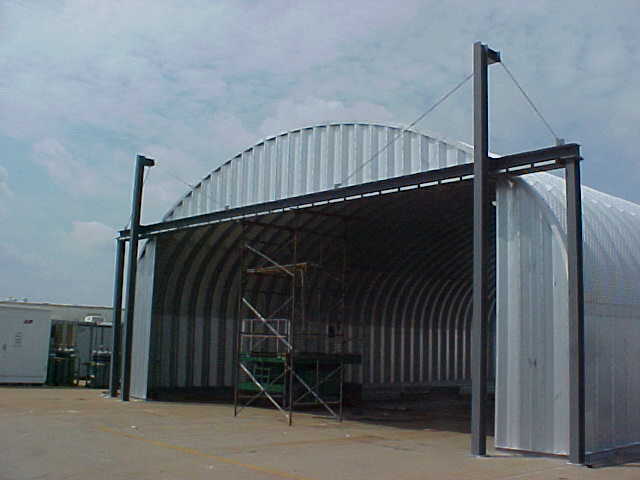 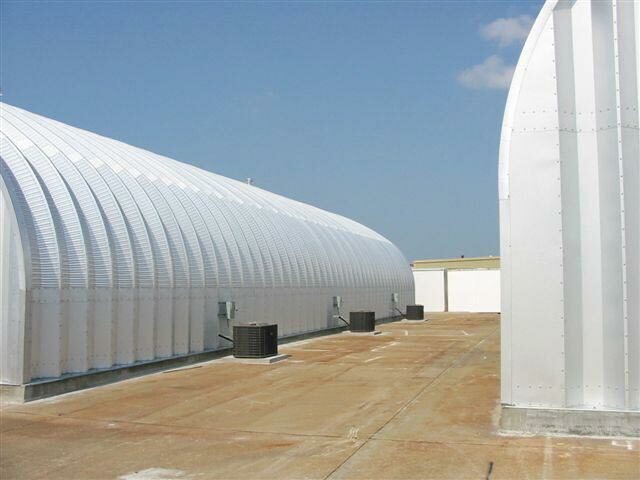 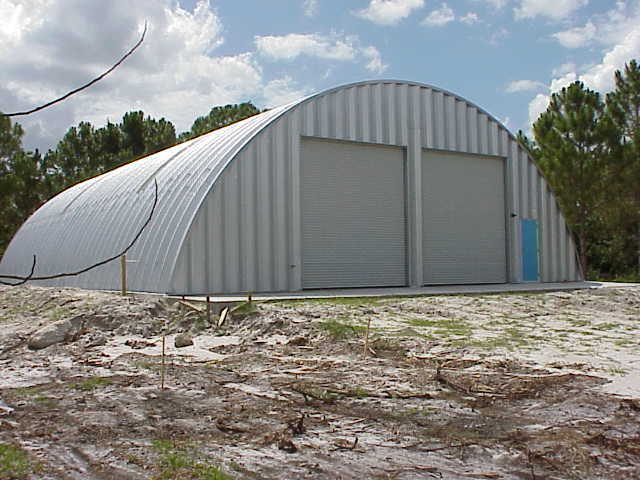 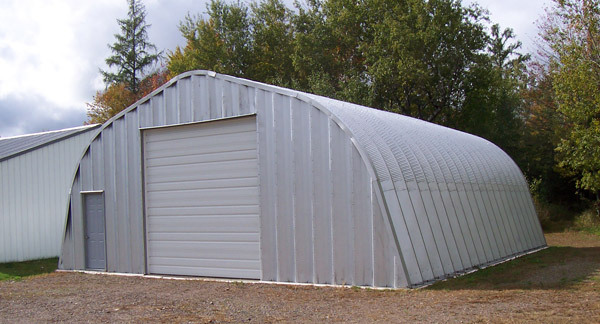 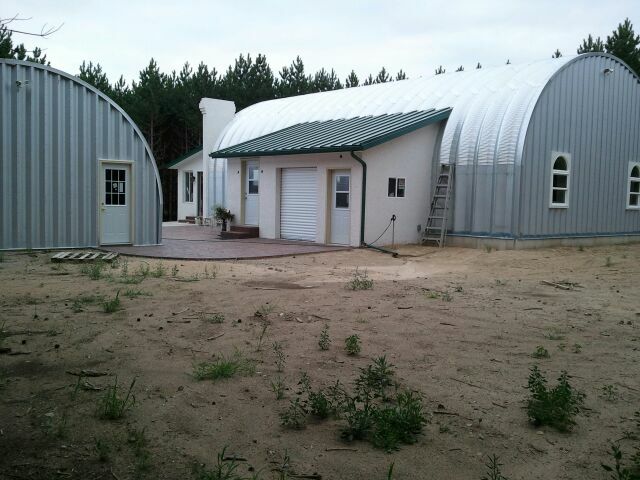 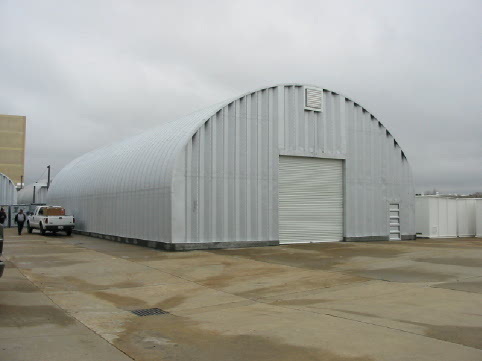 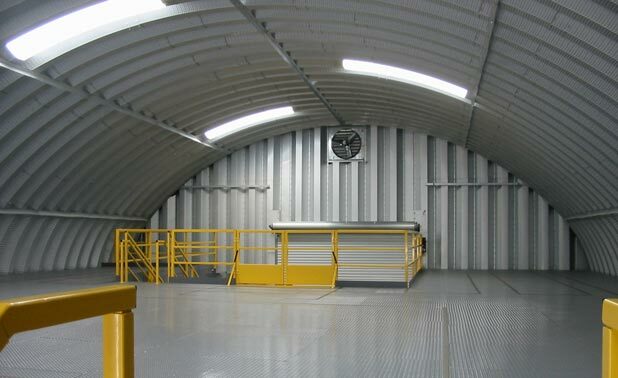 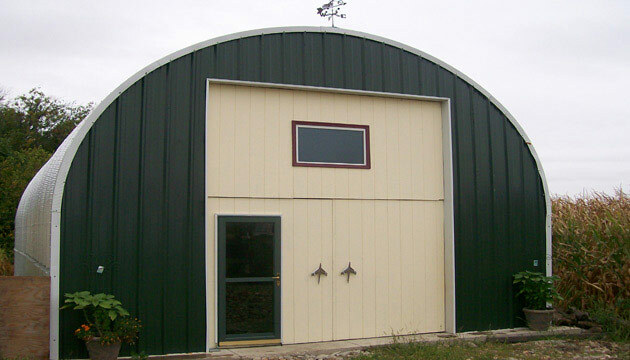 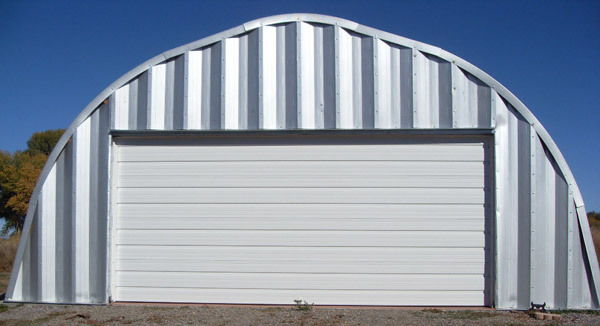 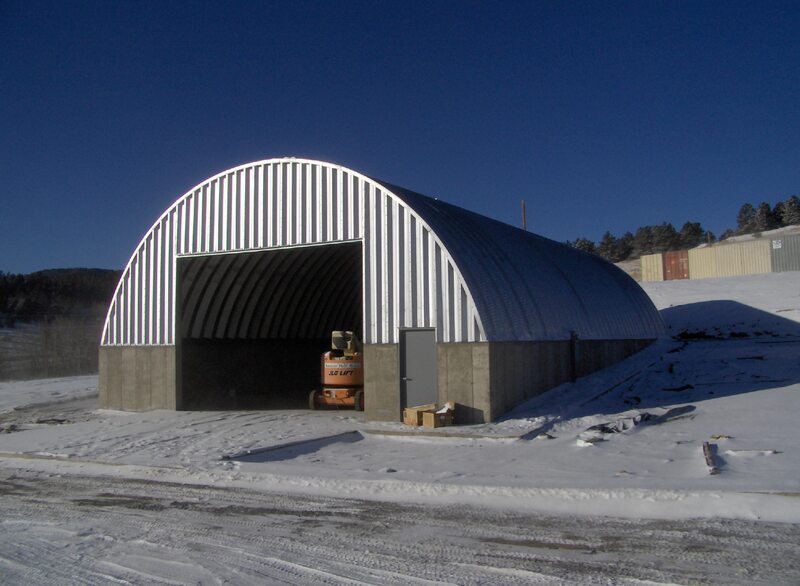 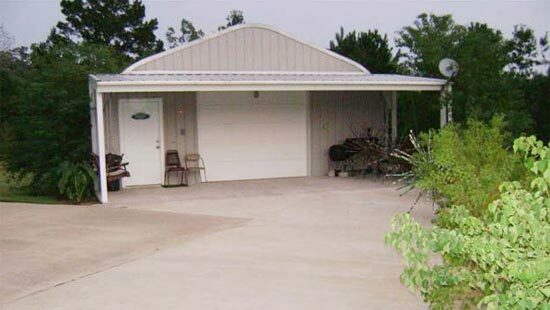 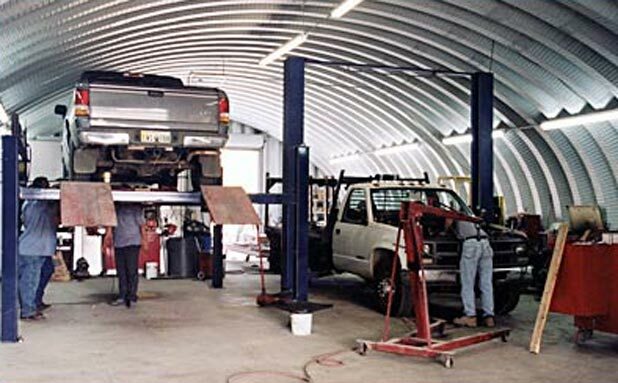 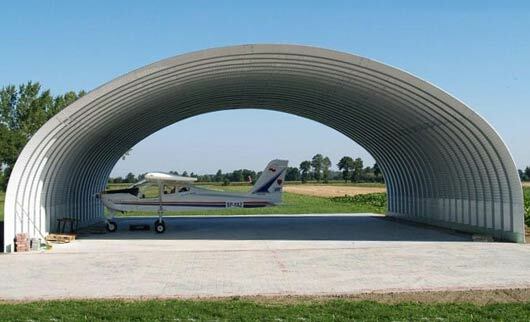 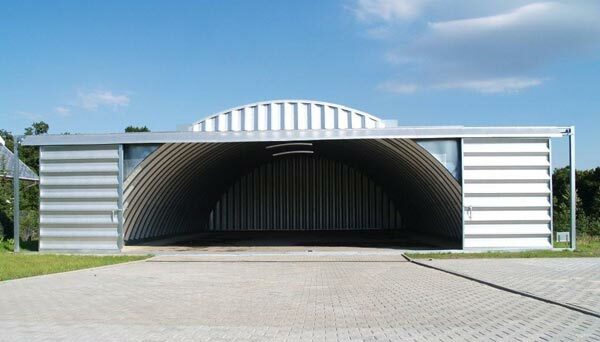 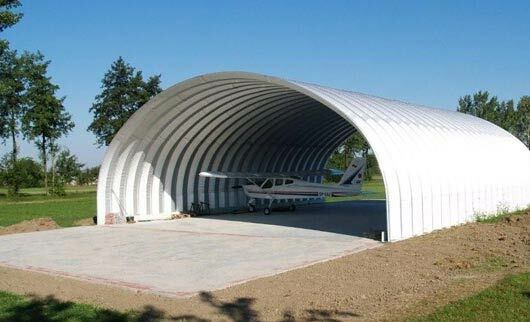 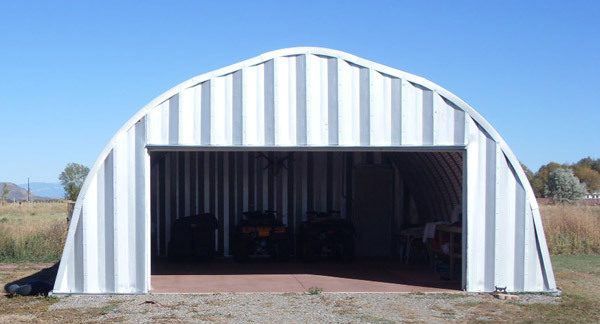 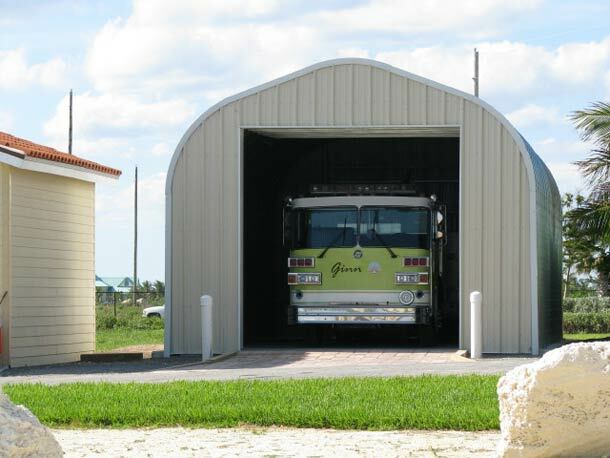 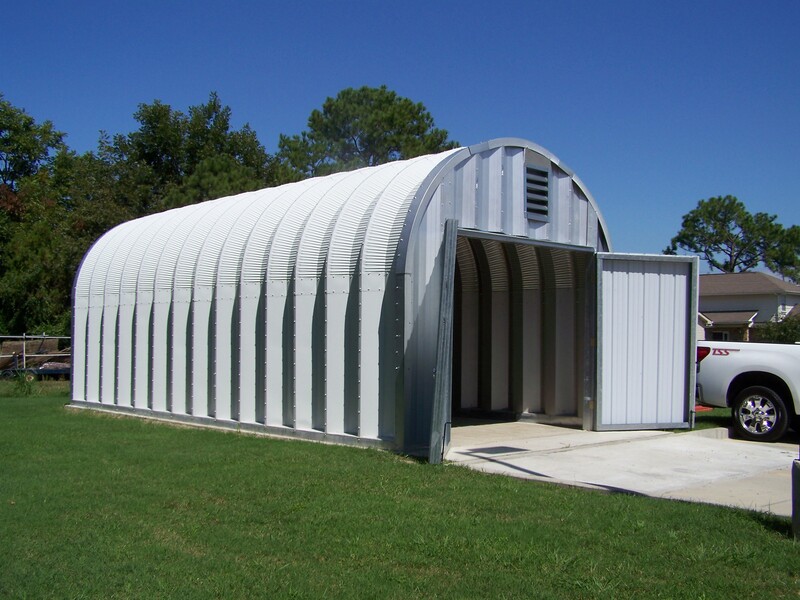 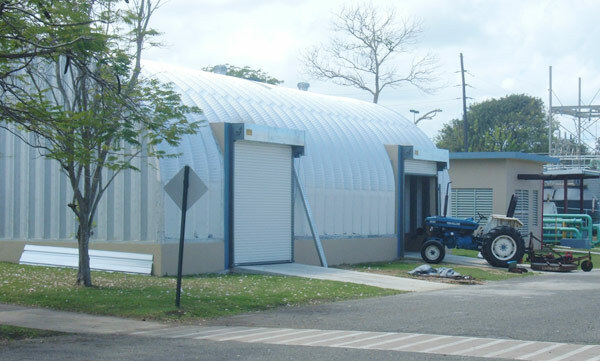 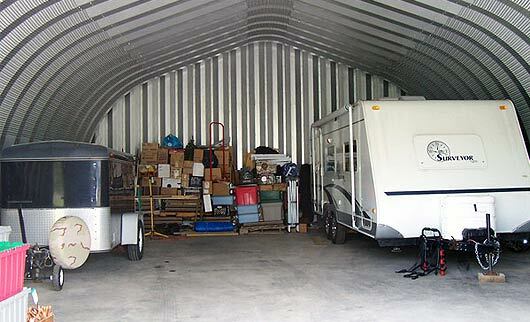 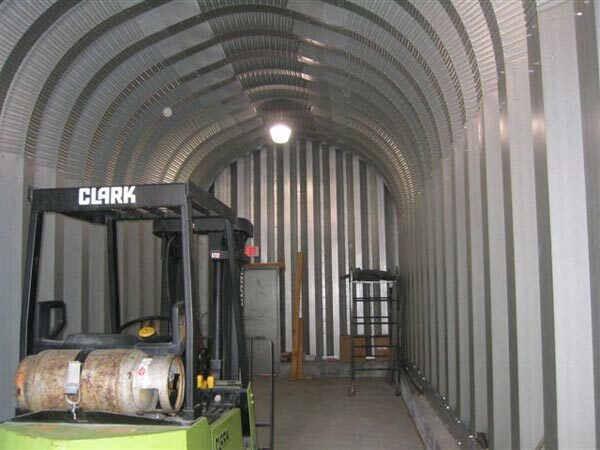 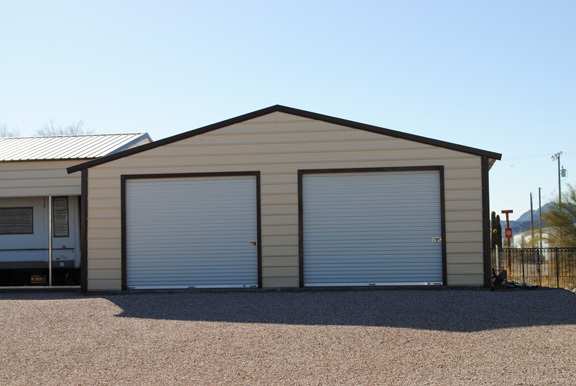 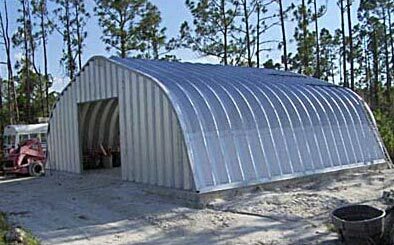 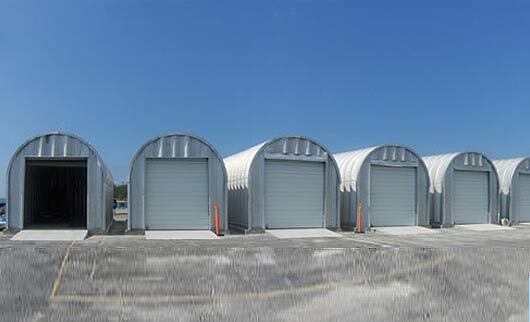 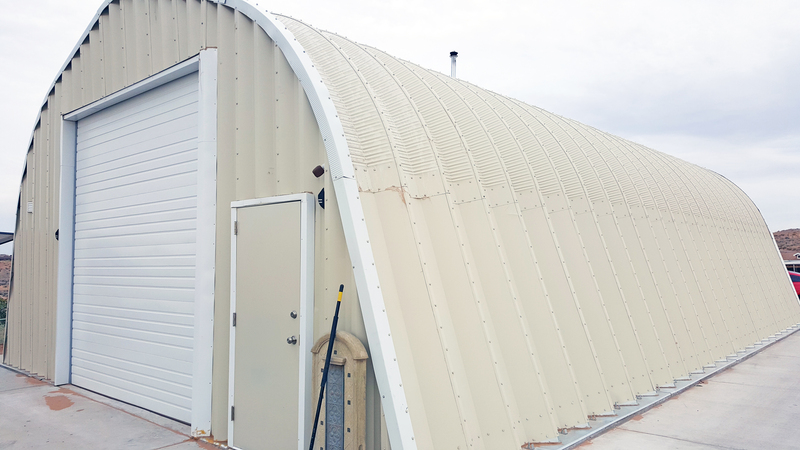 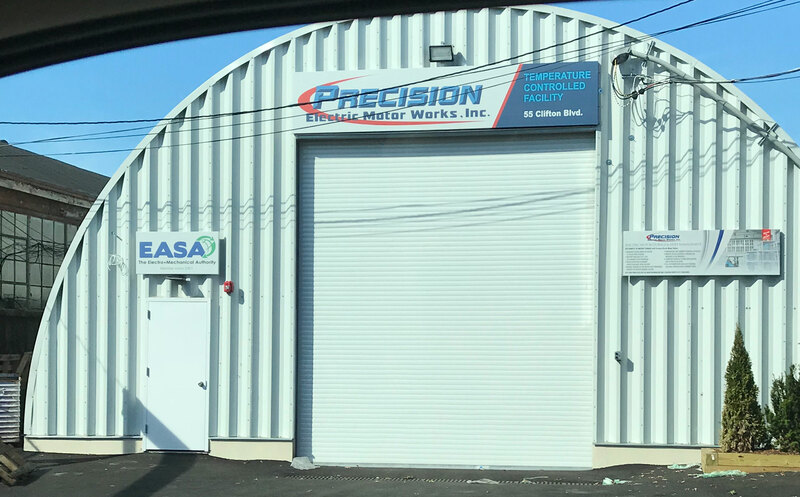 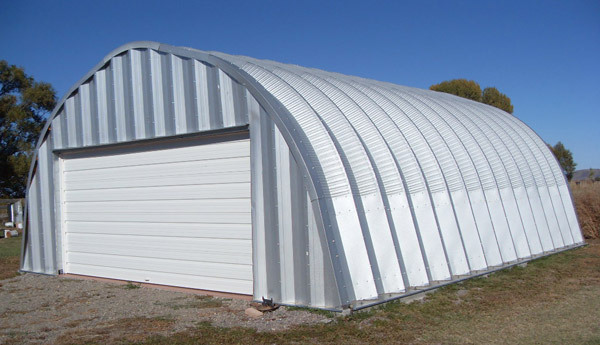 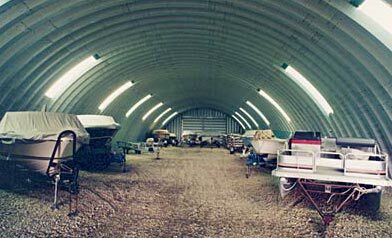 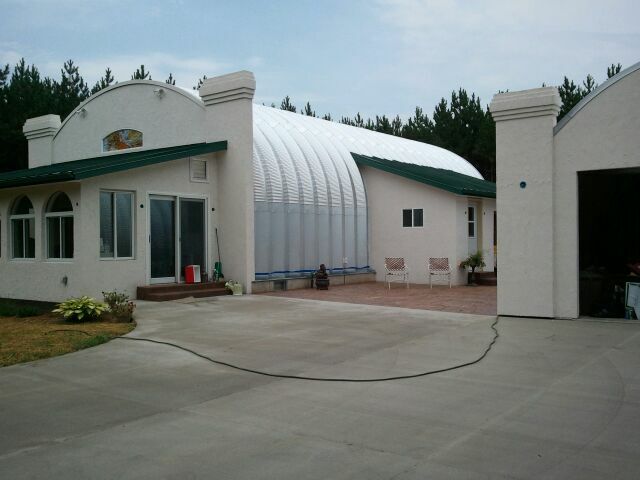 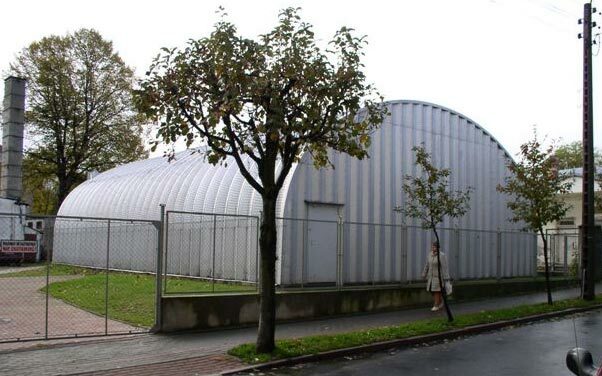 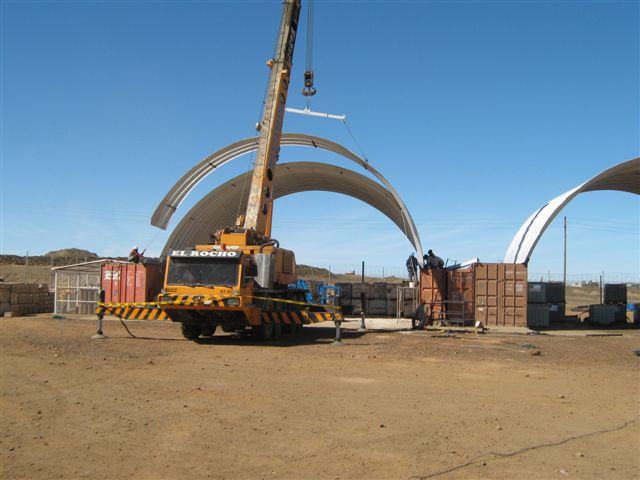 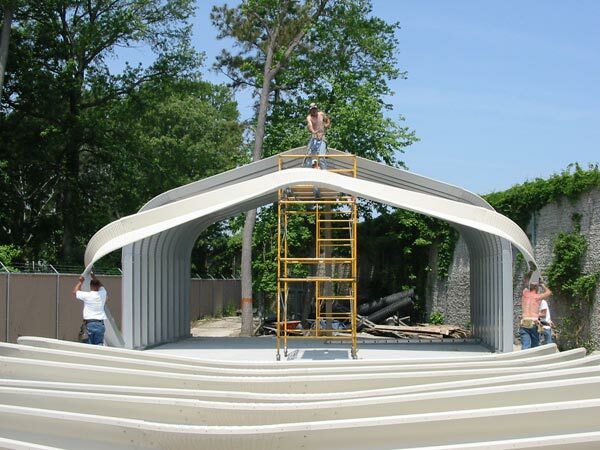 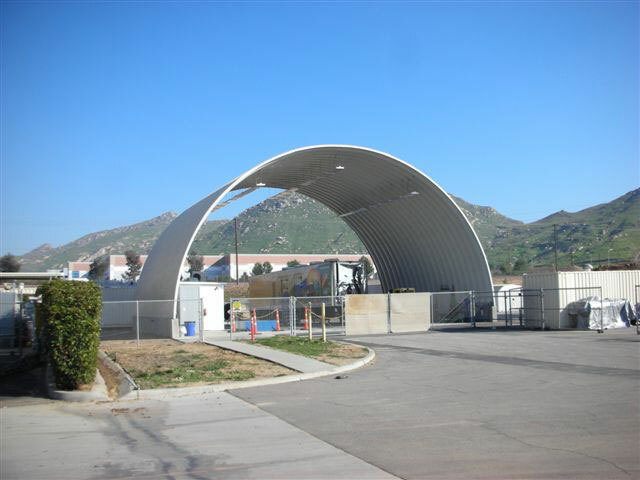 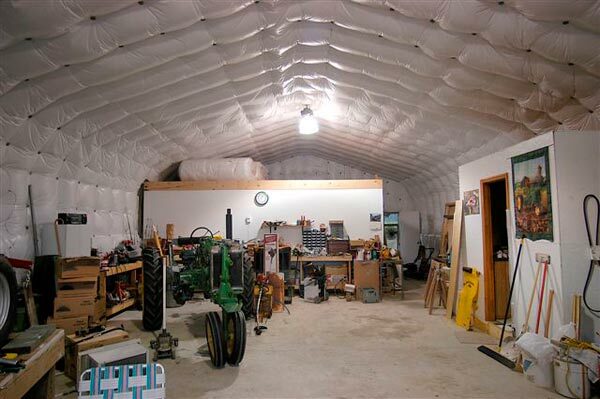 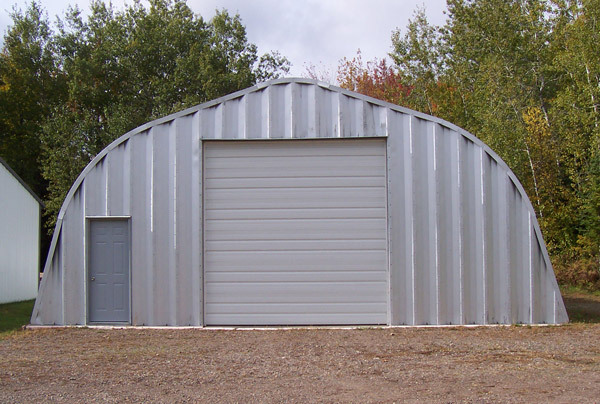 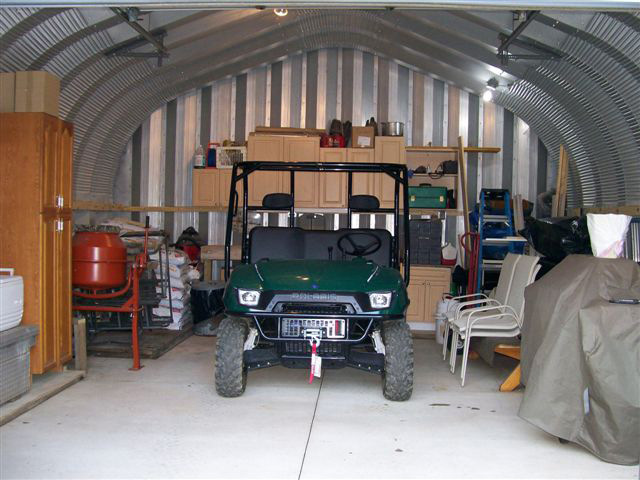 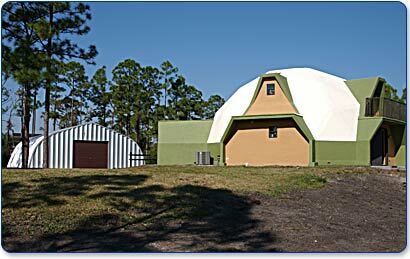 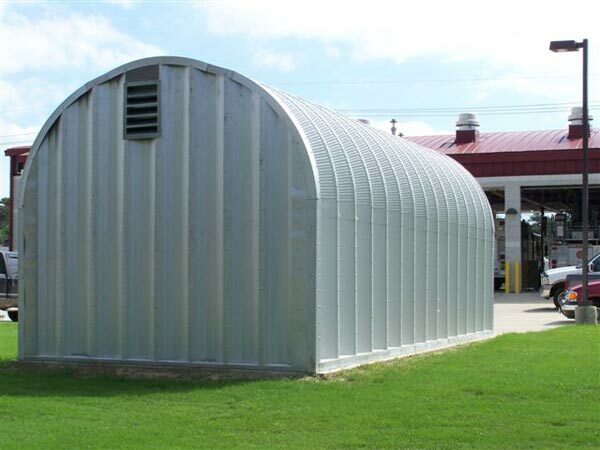 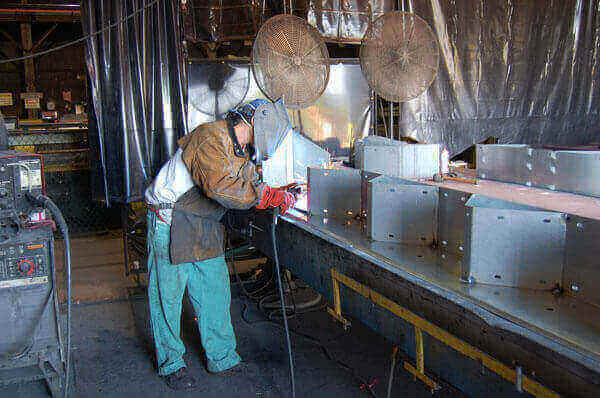 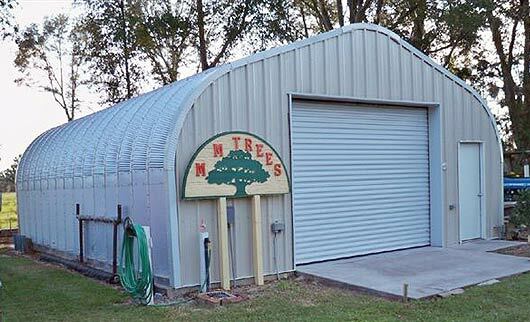 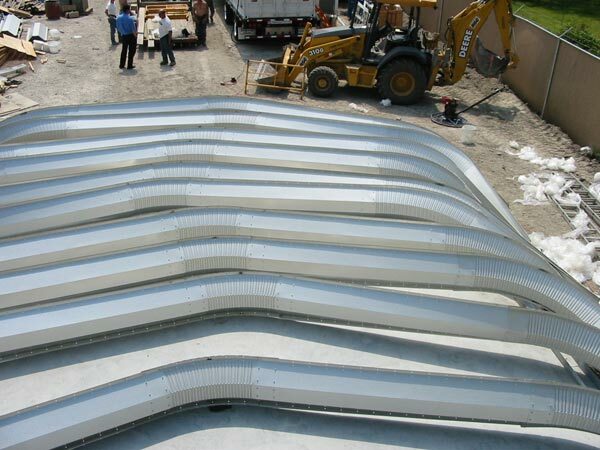 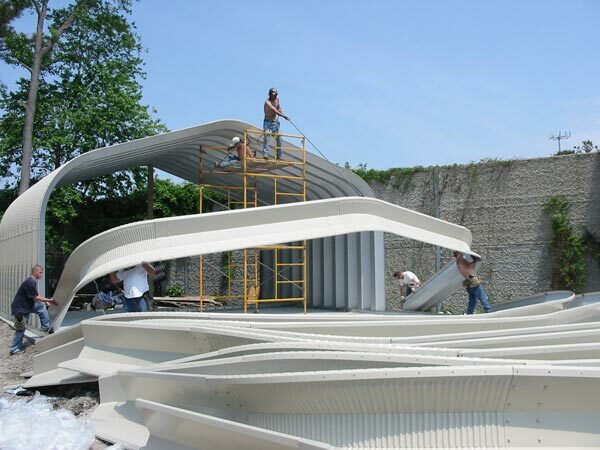 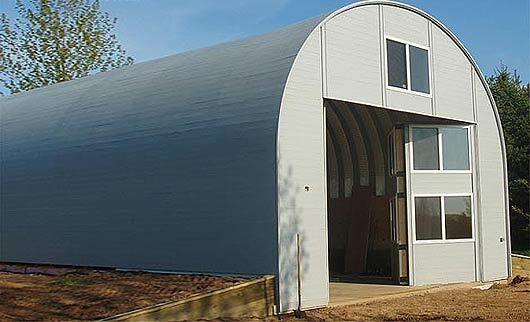 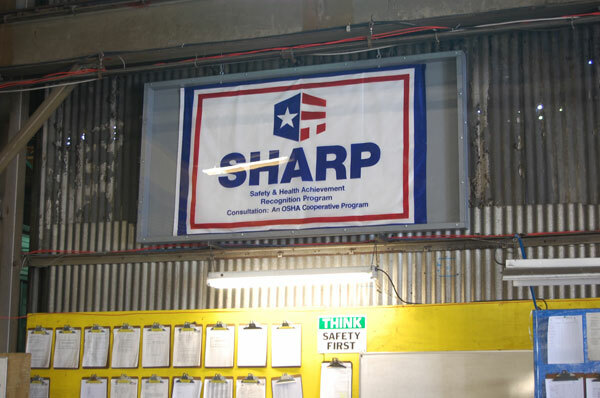 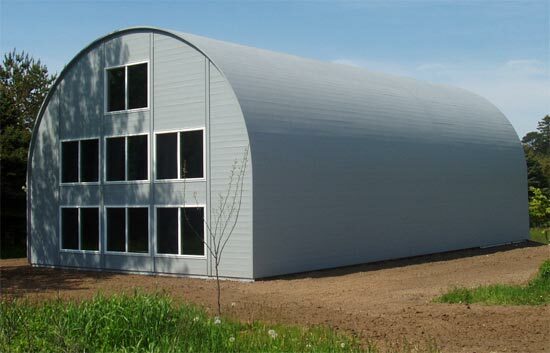 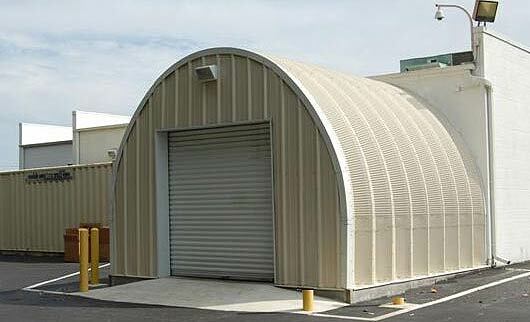 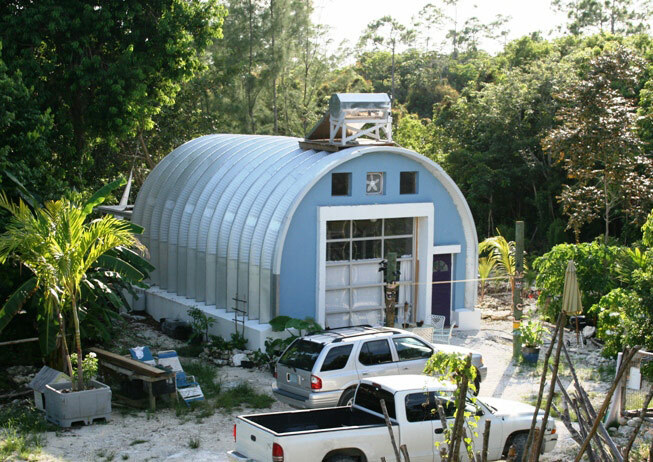 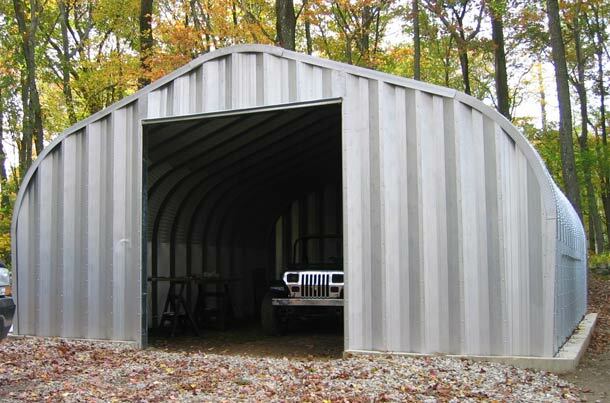 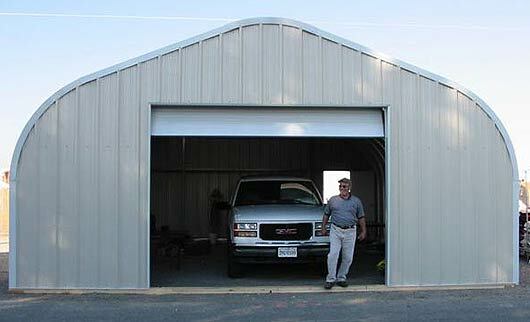 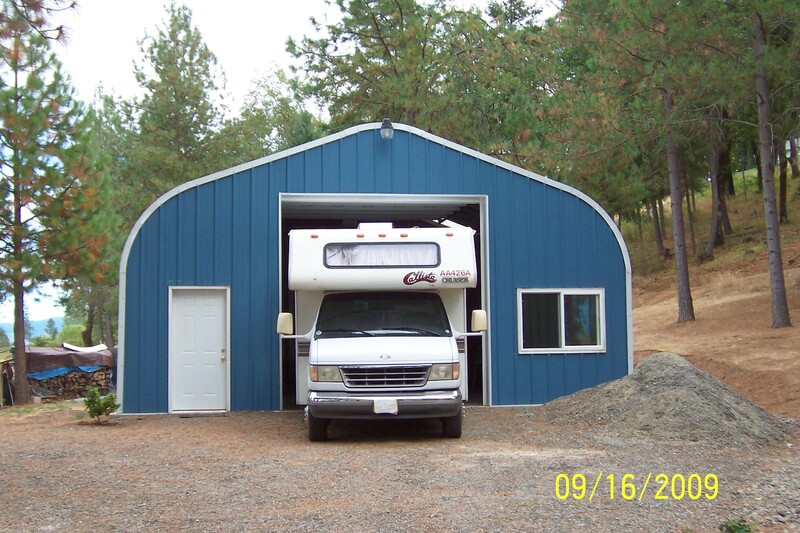 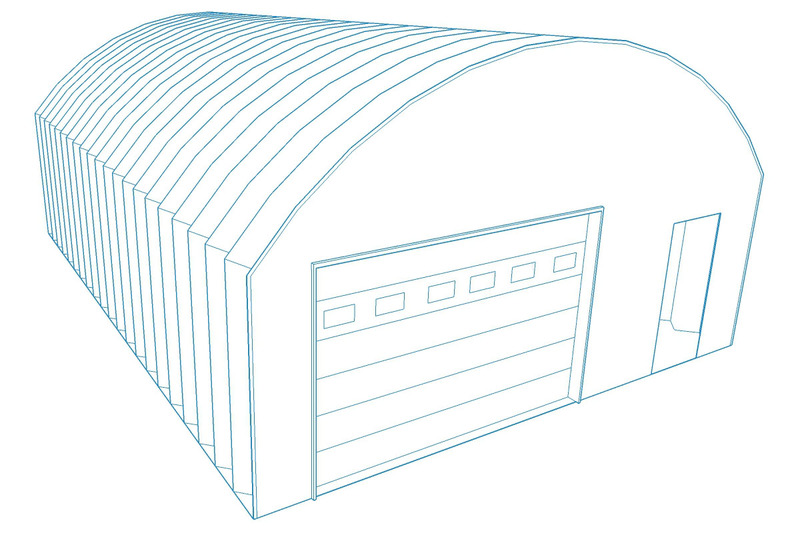 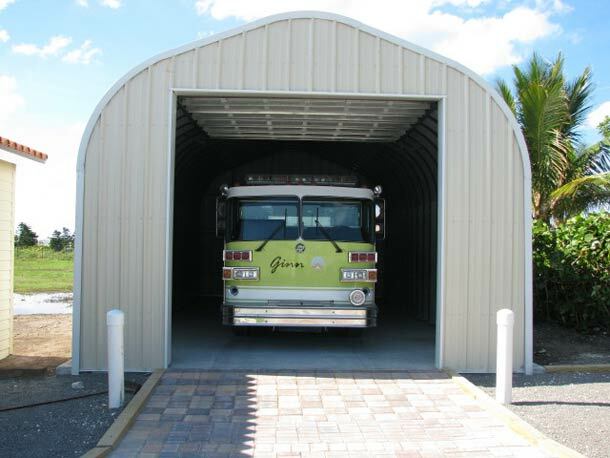 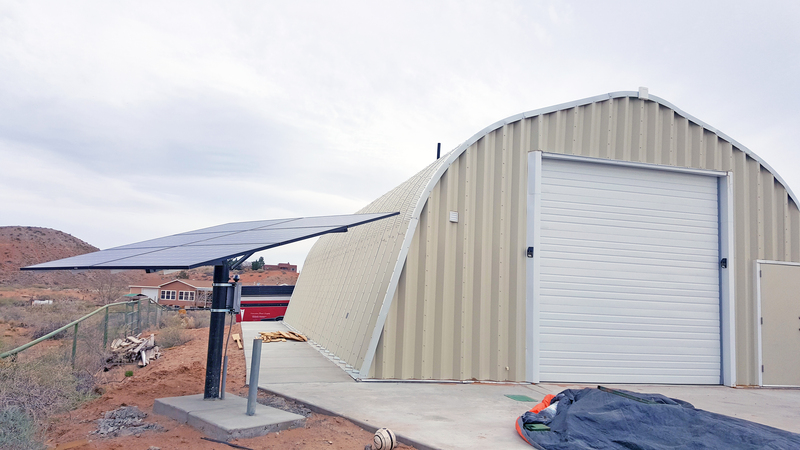 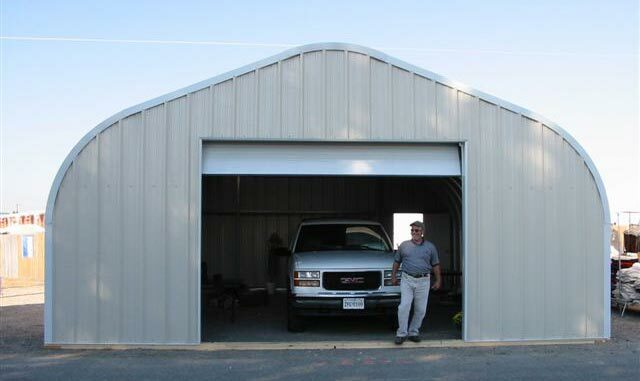 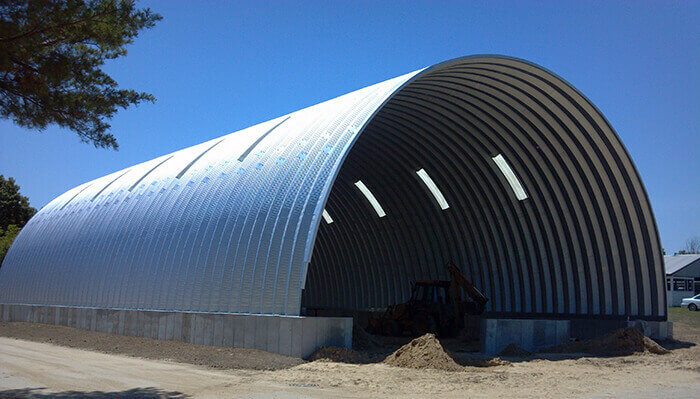 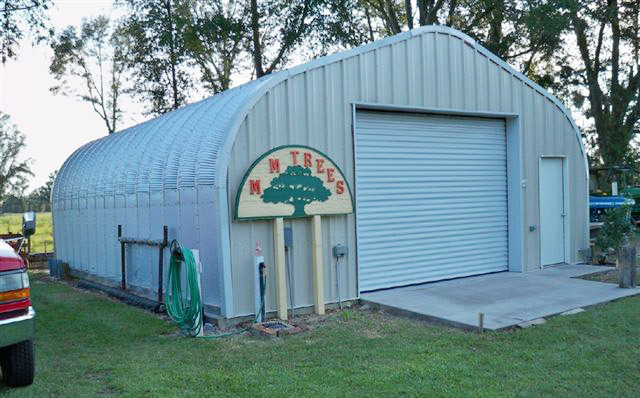 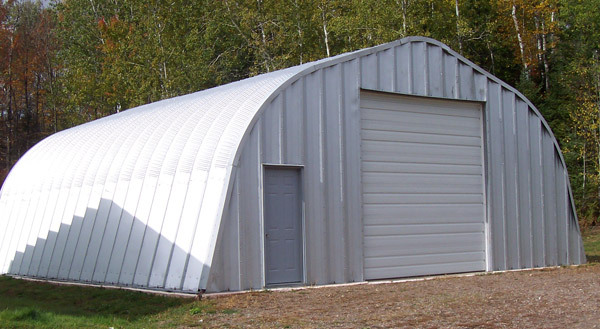 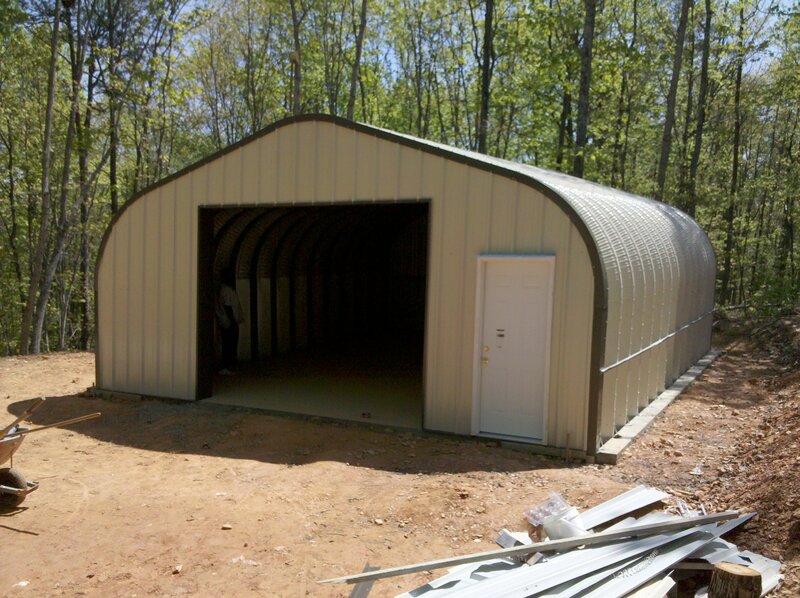 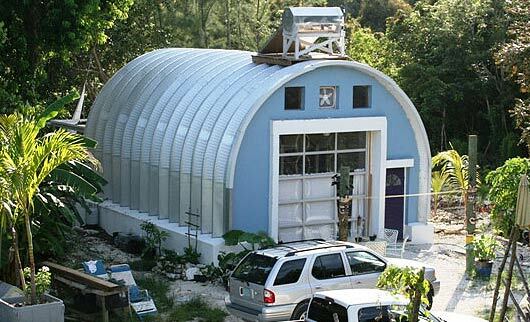 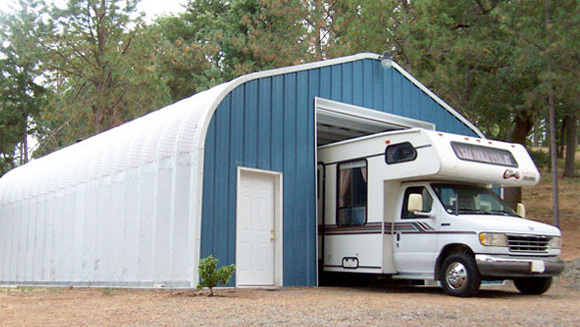 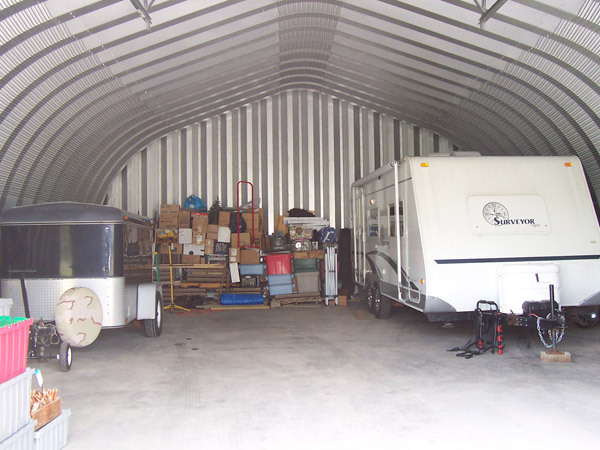 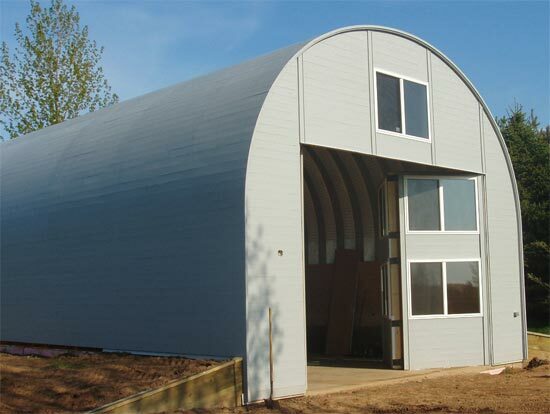 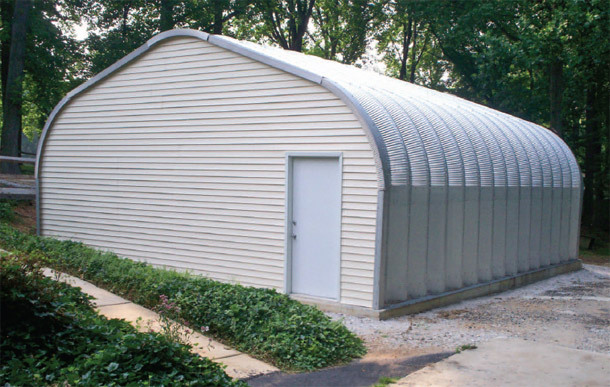 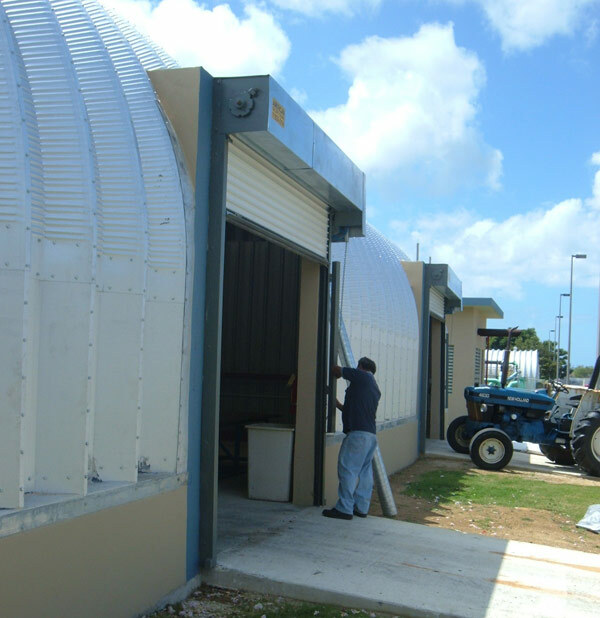 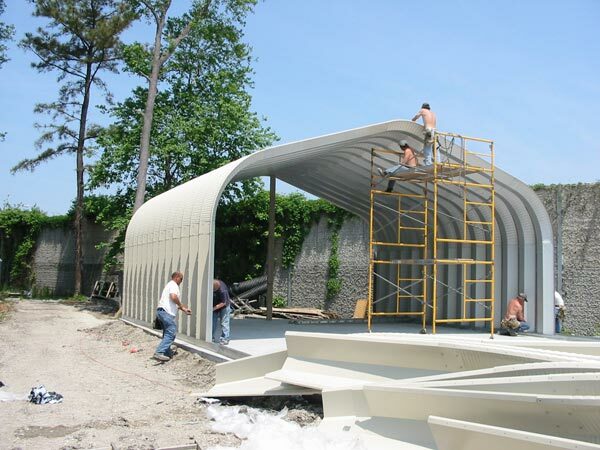 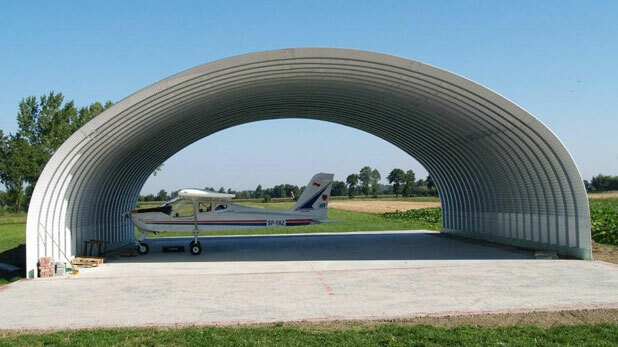 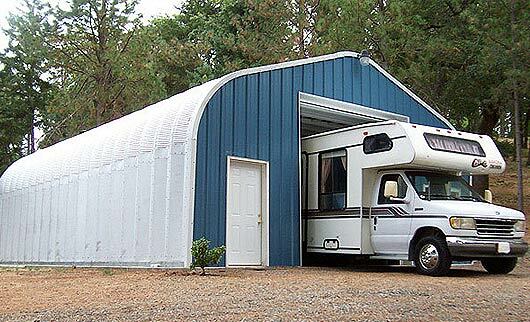 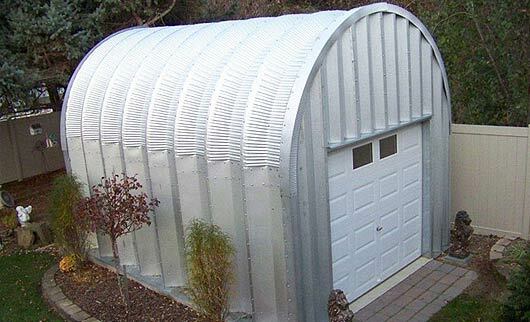 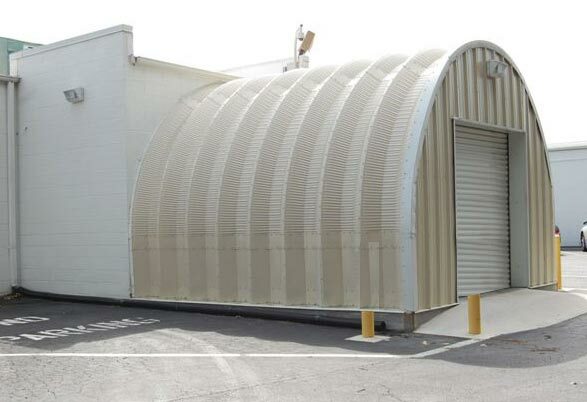 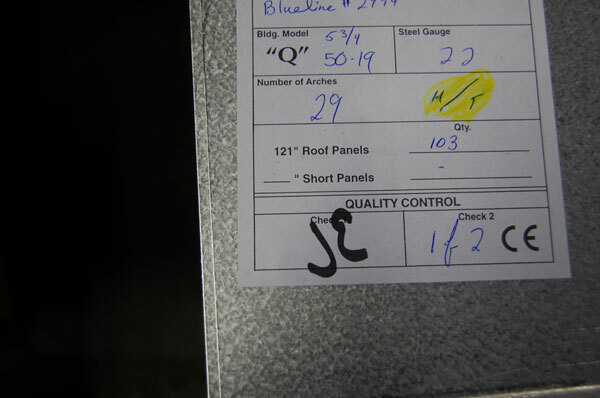 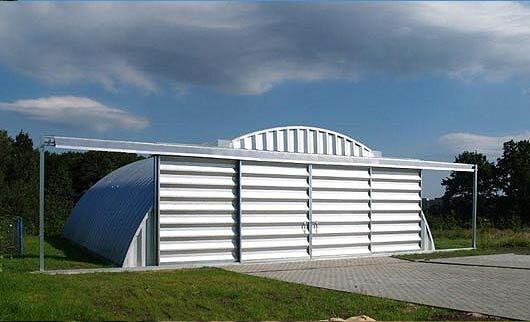 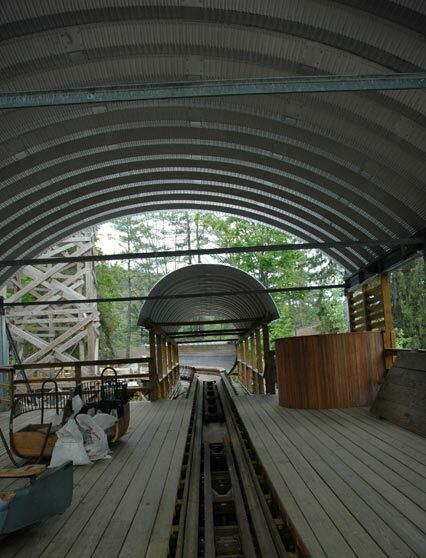 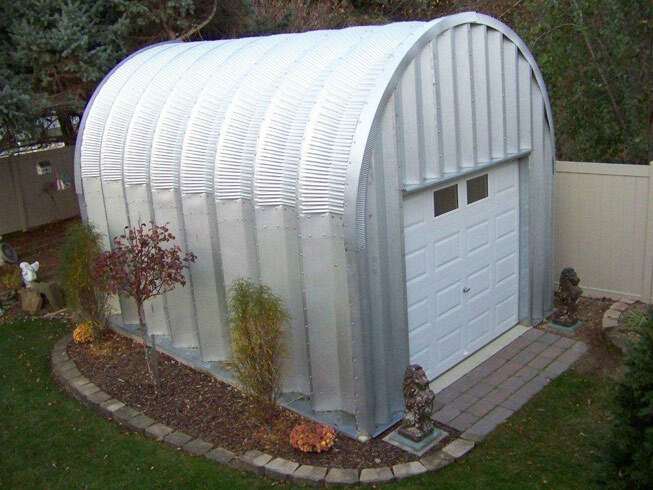 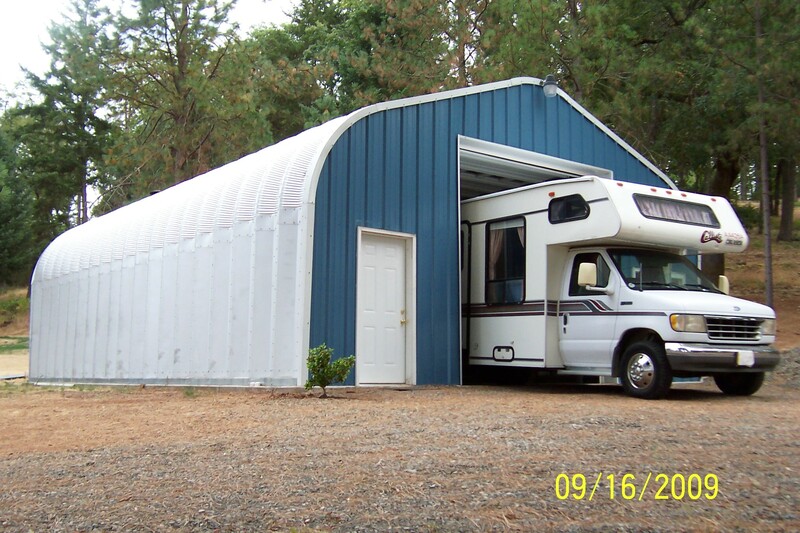 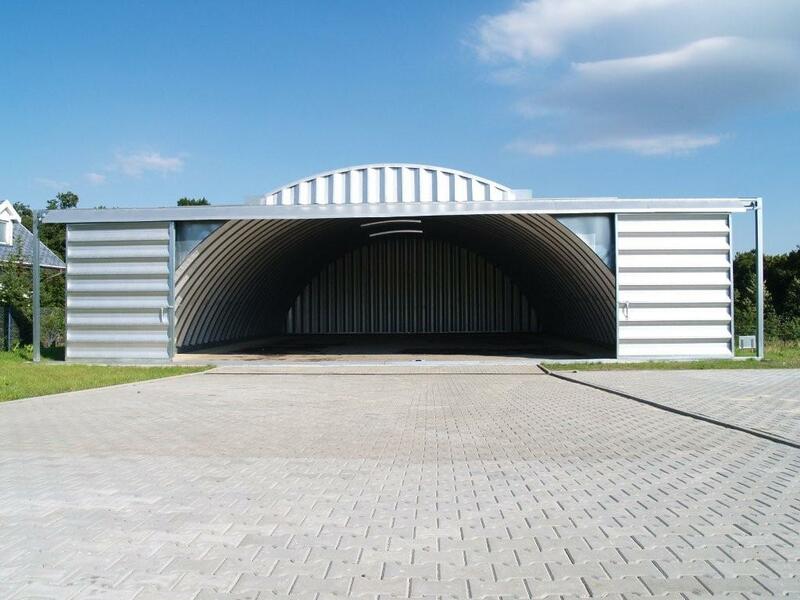 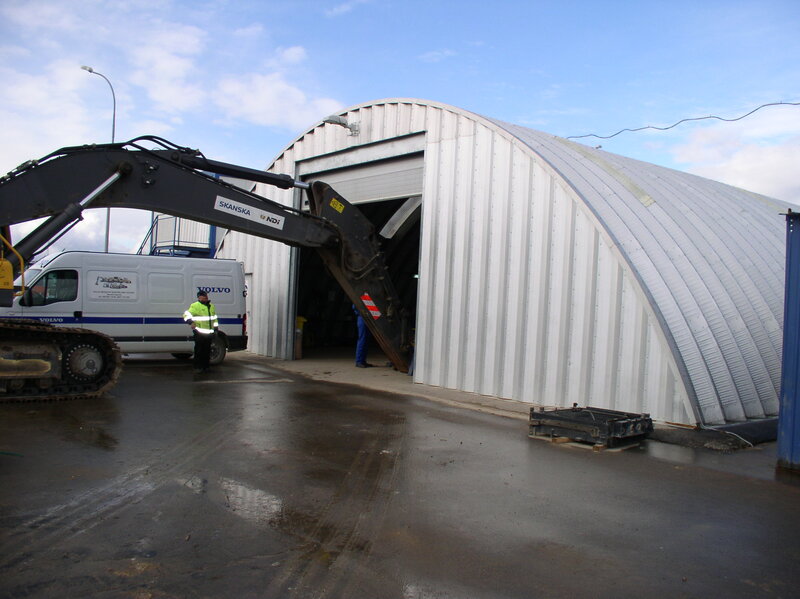 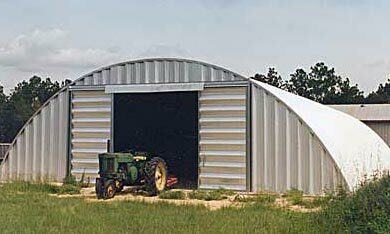 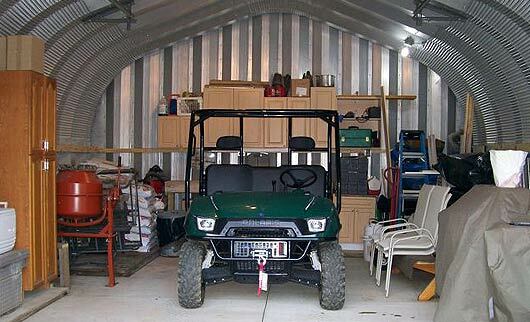 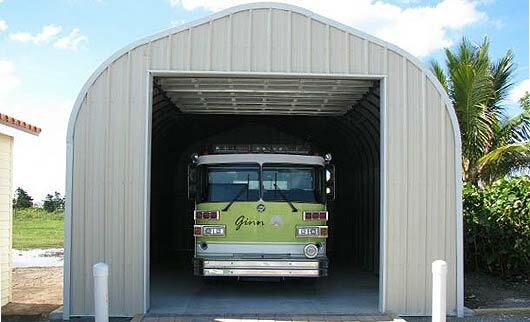 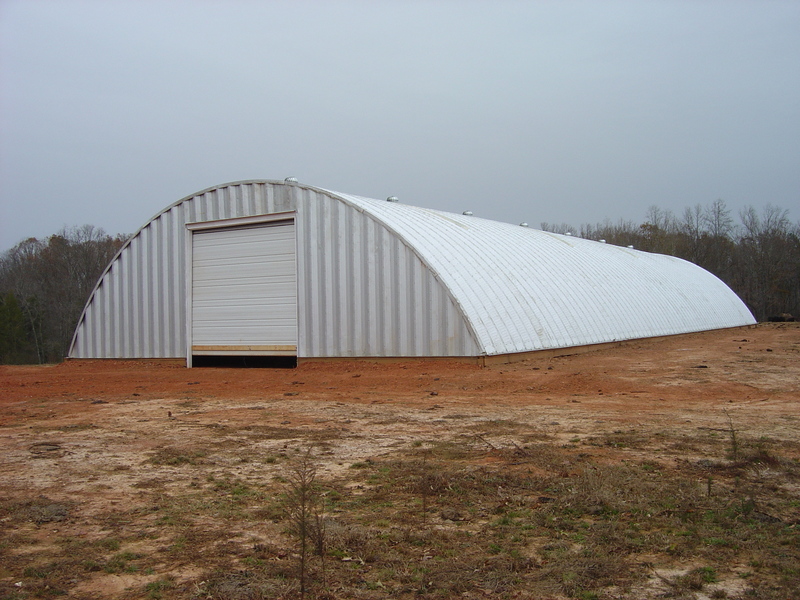 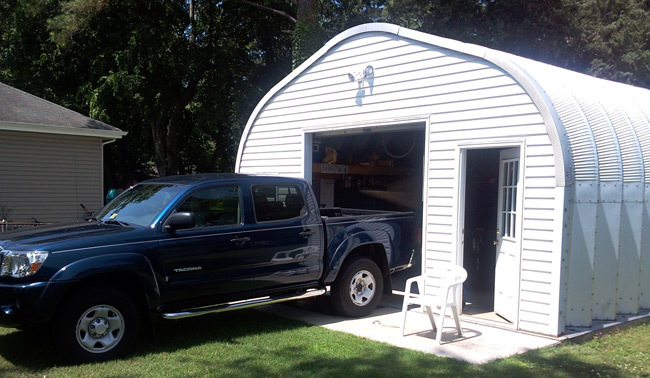 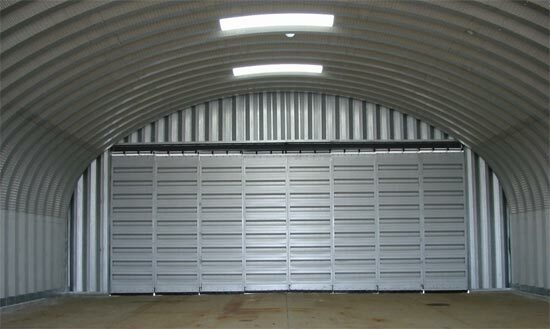 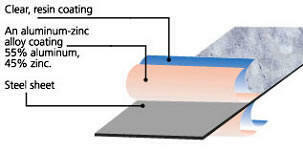 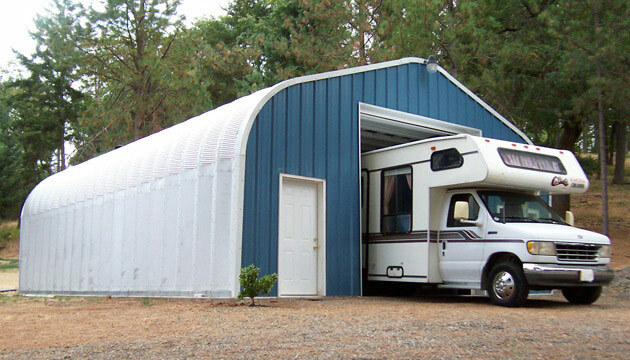 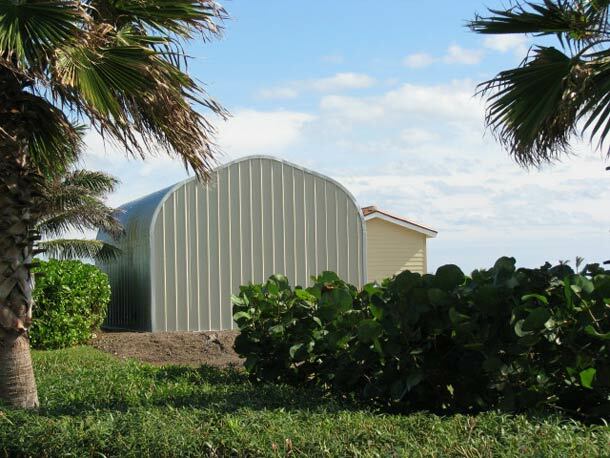 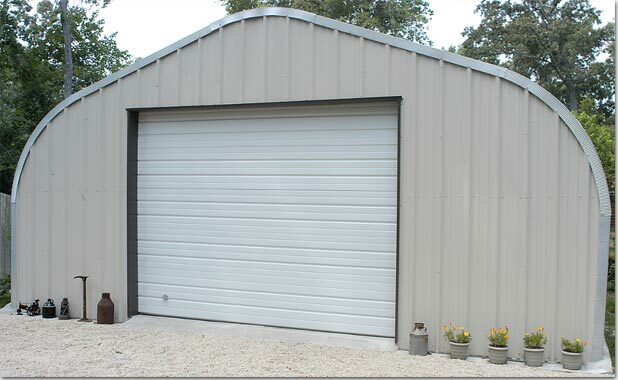 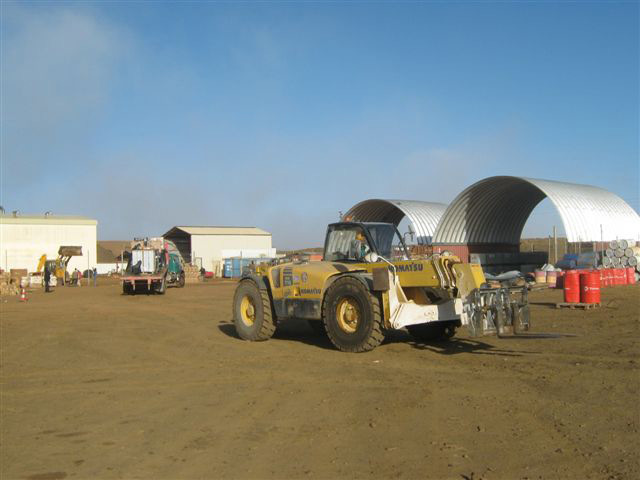 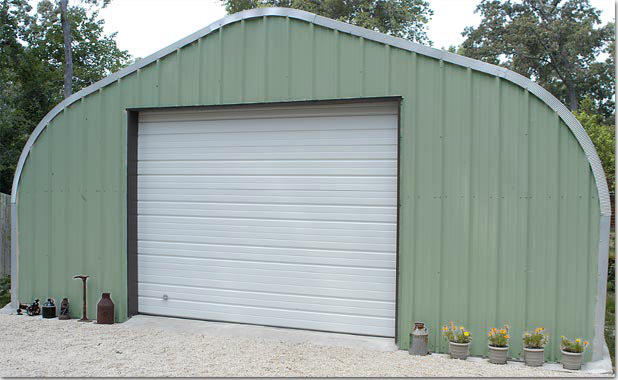 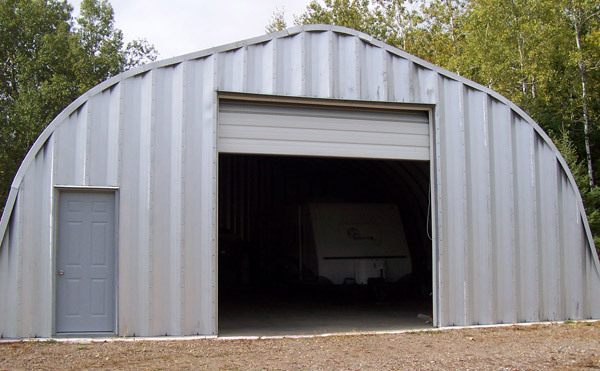 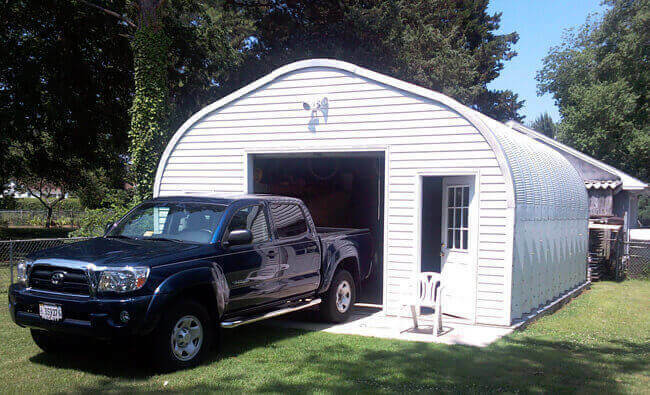 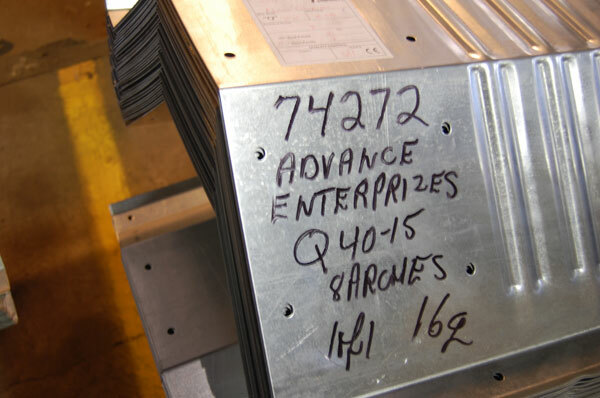 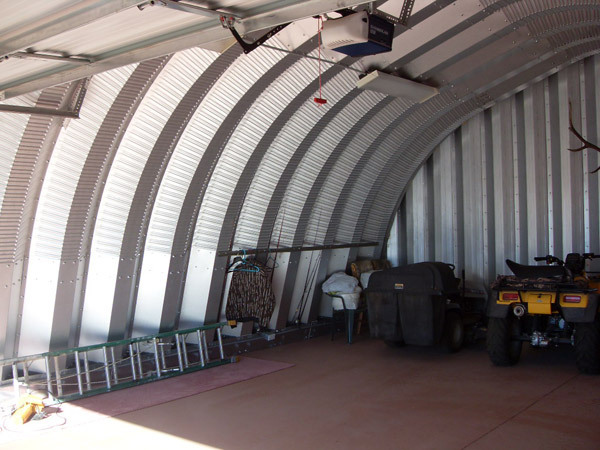 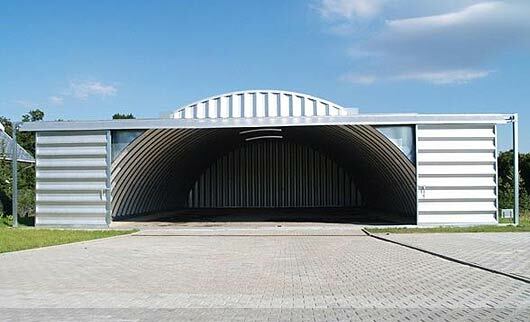 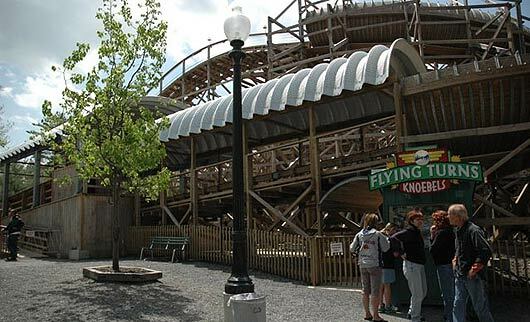 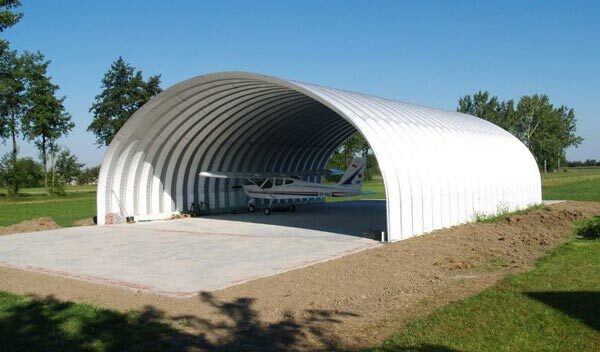 The Quonset Hut are one the easiest types of steel buildings to erect. 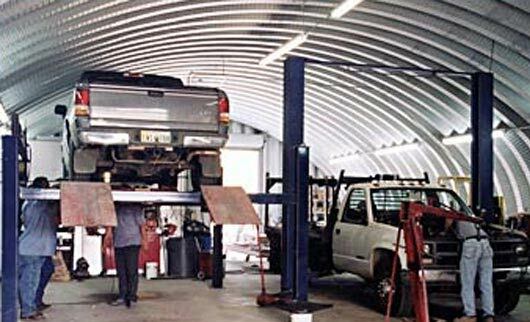 Most customers opt to erect themselves. 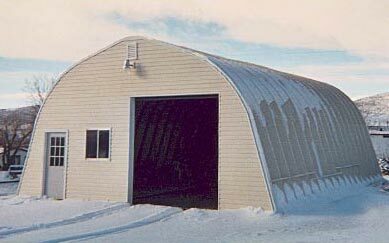 Made from heavy commercial galvalume steel, Powerbilt Quonset Huts stand the test of time and the worst weather Mother Nature has to offer. 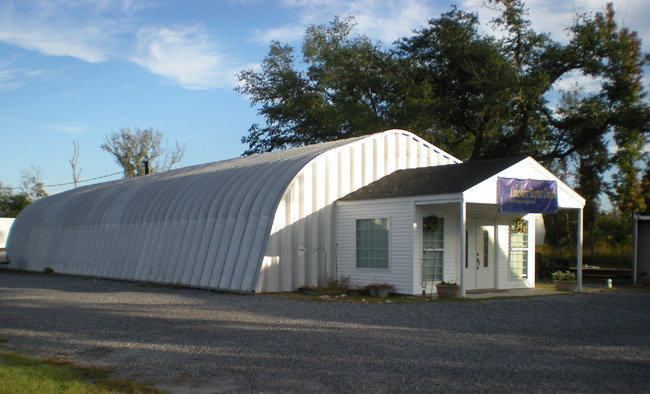 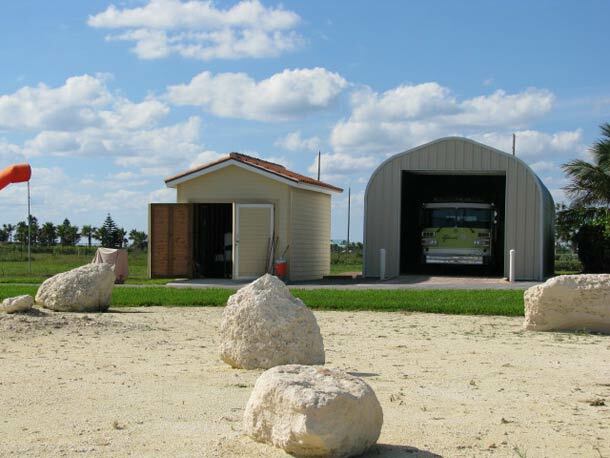 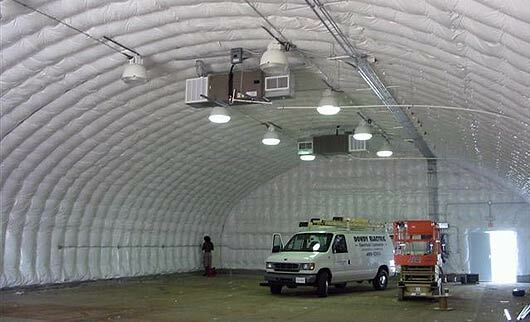 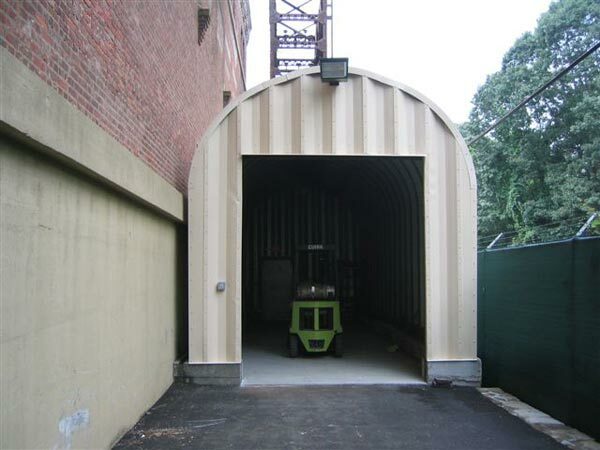 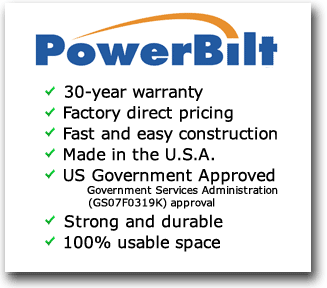 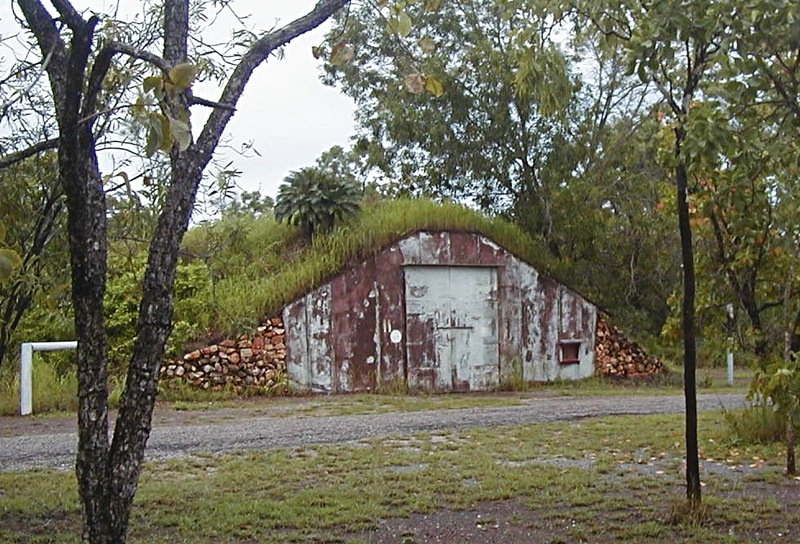 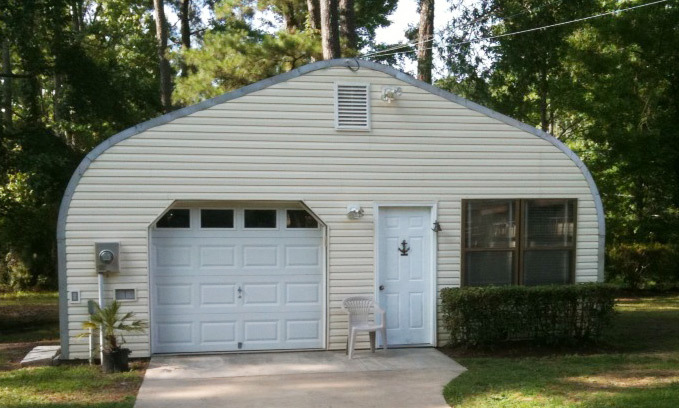 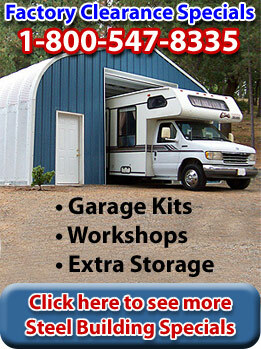 If you are considering purchasing a Quonset Hut call the experts at Powerbilt. 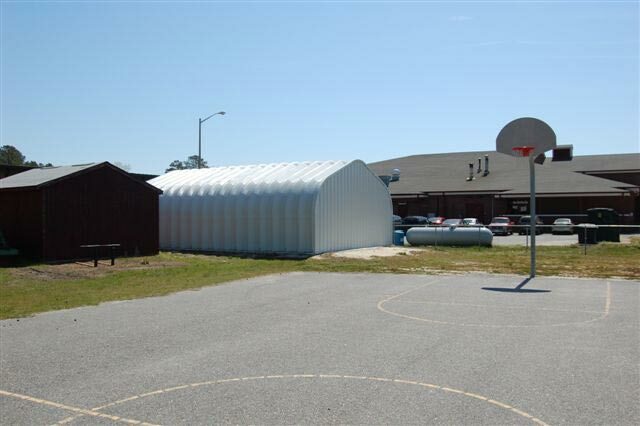 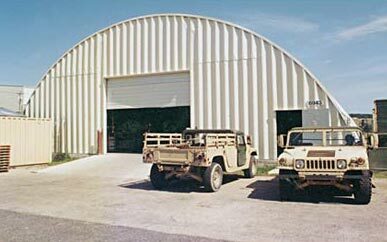 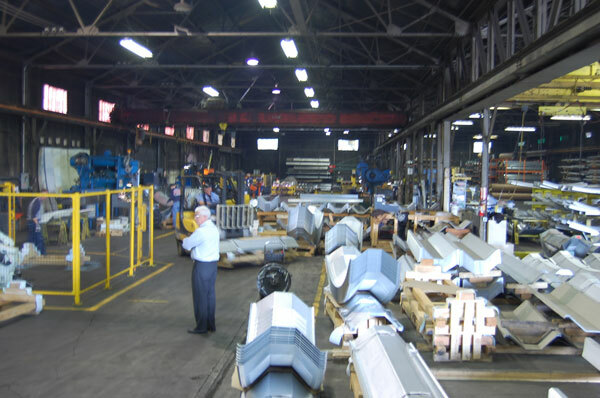 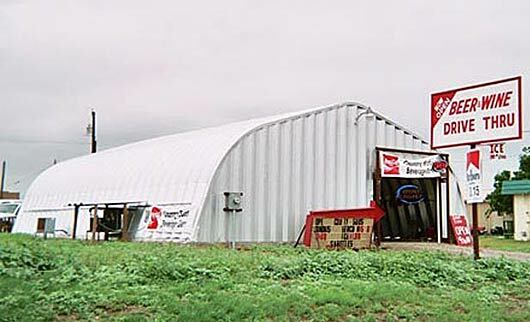 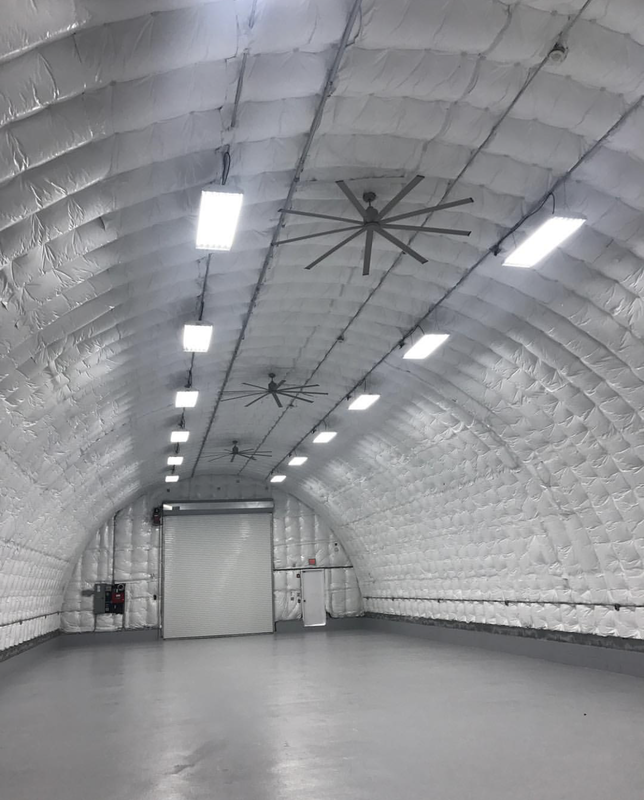 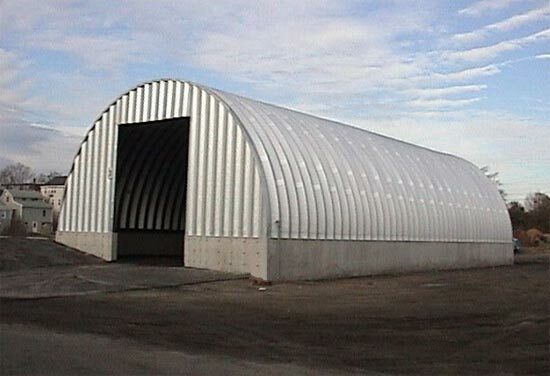 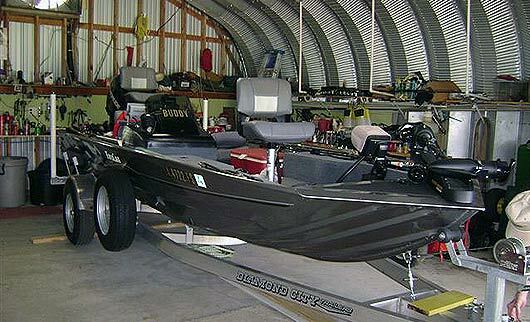 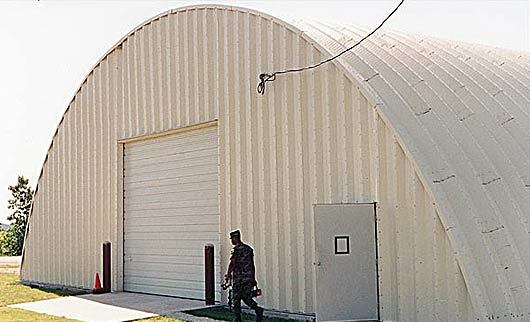 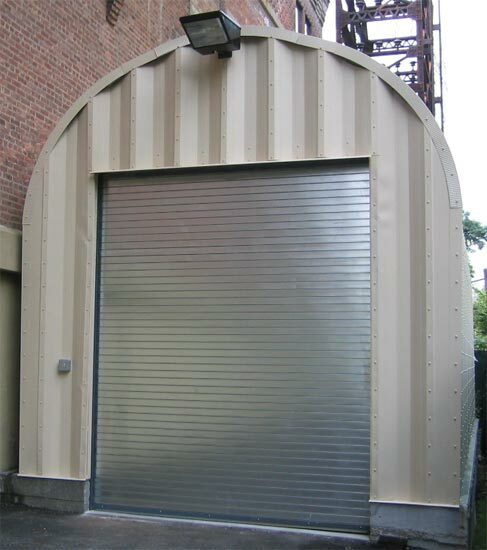 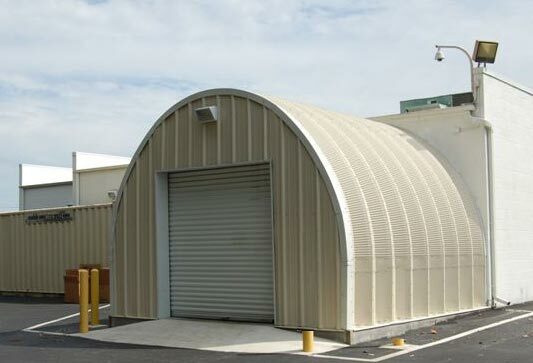 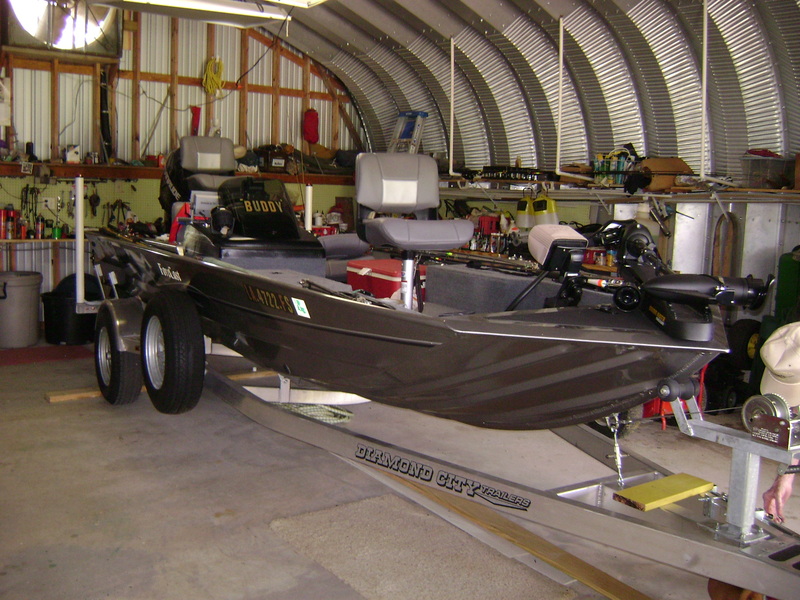 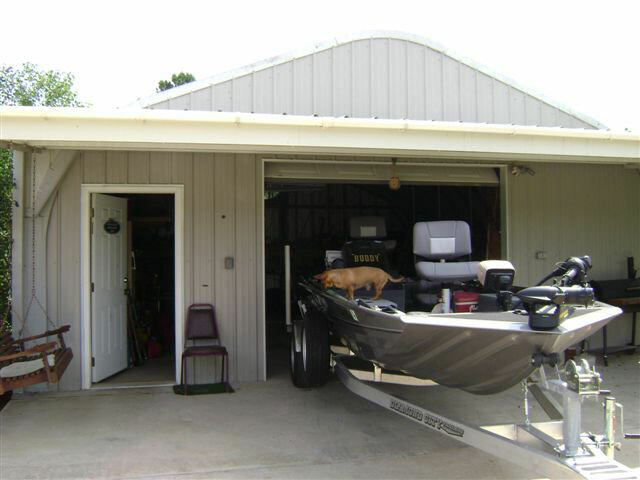 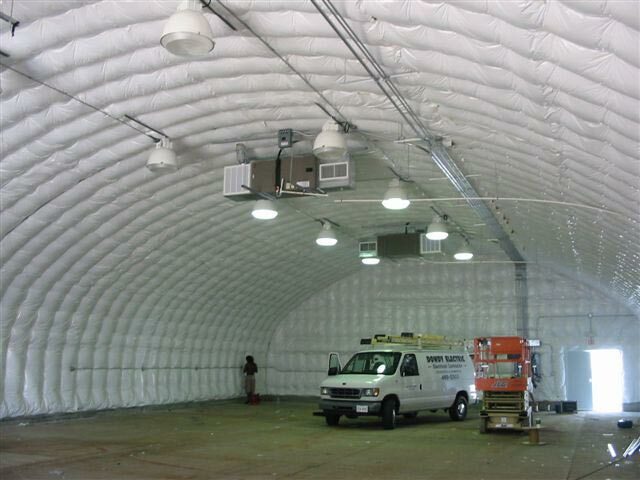 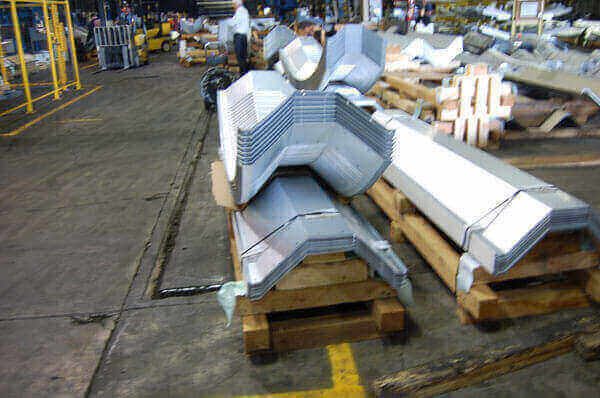 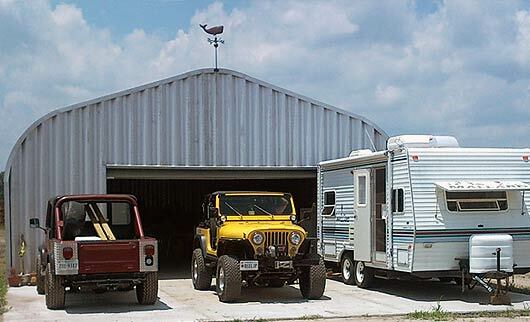 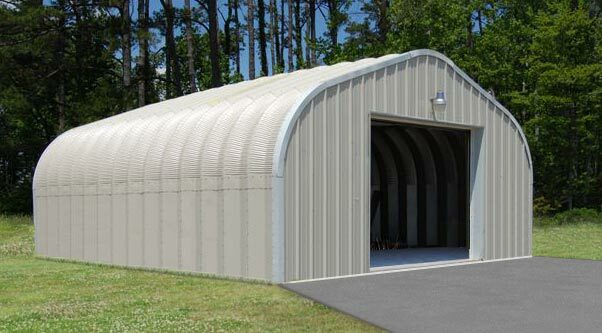 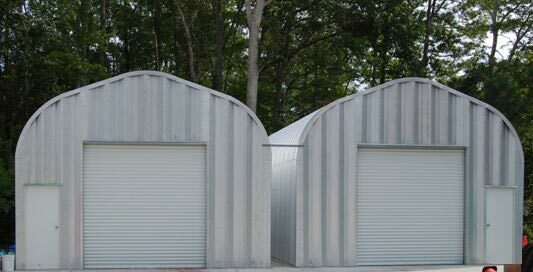 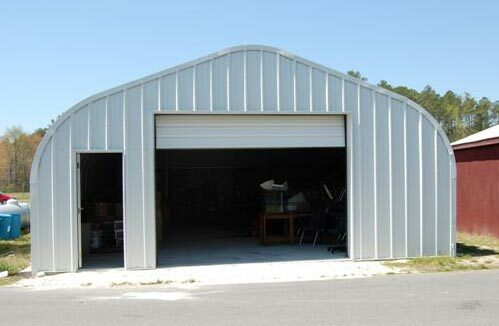 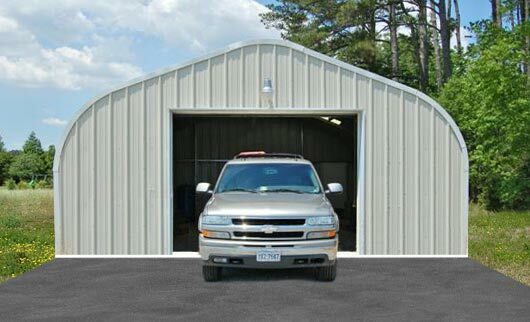 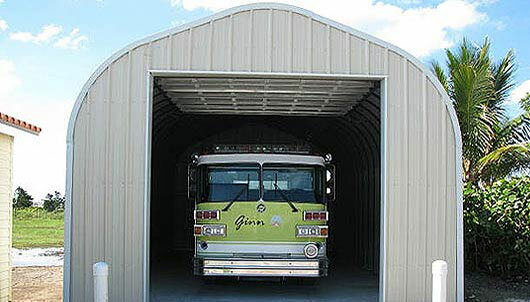 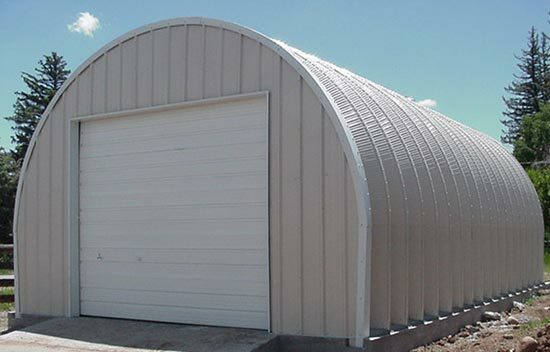 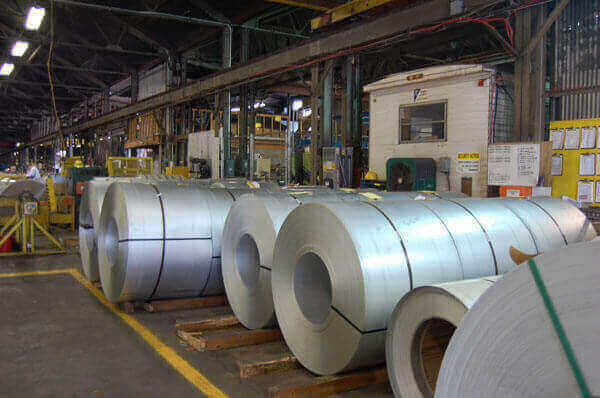 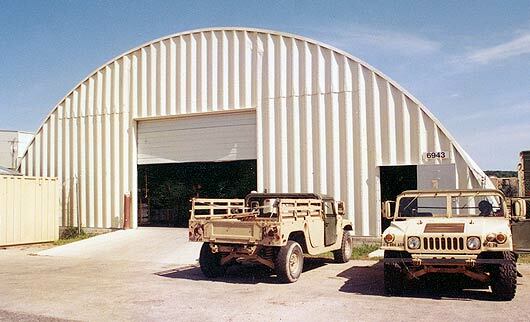 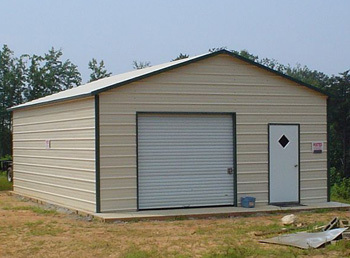 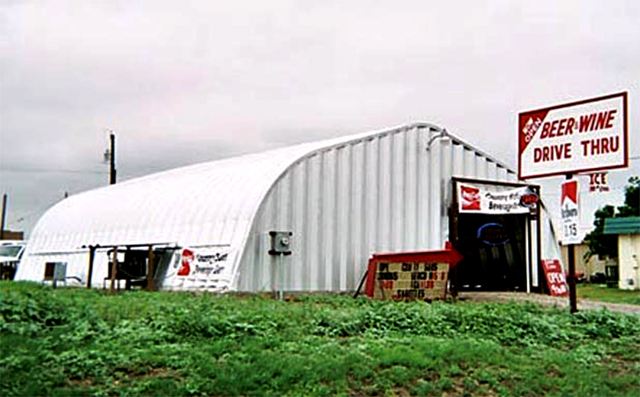 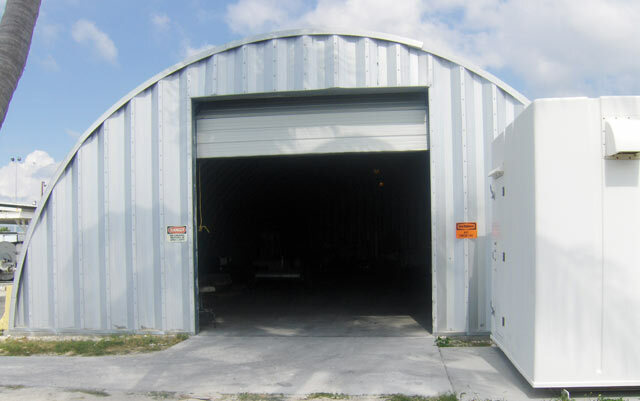 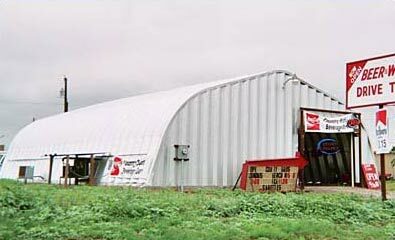 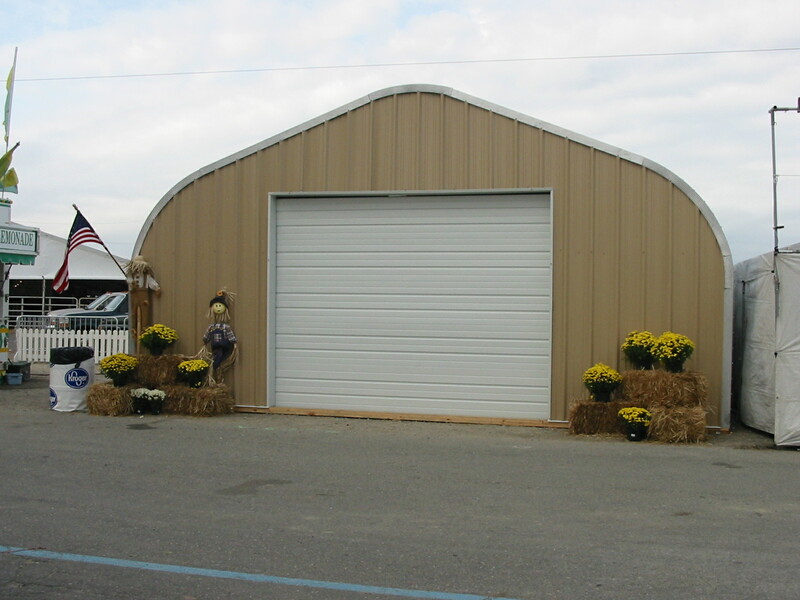 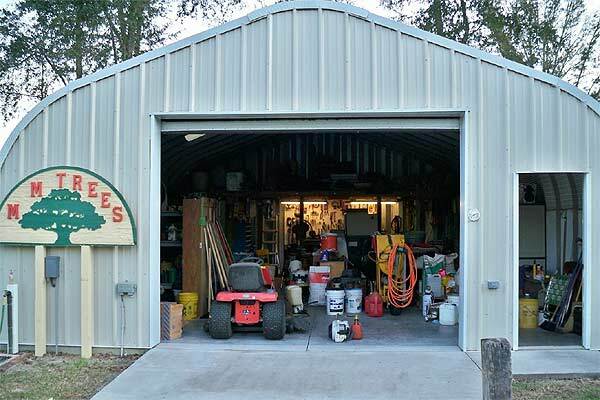 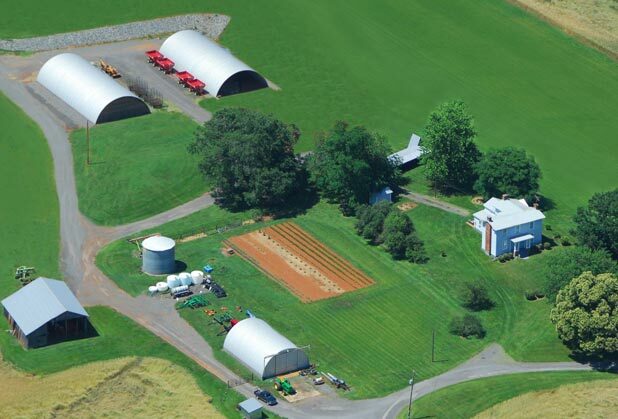 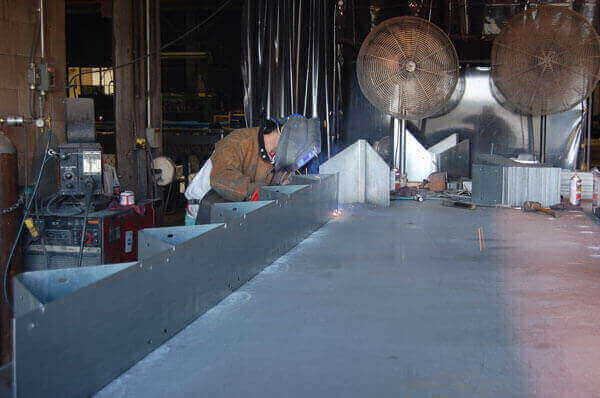 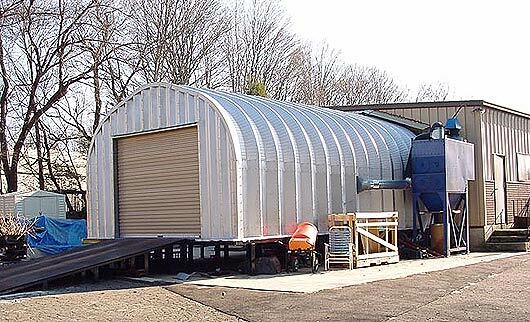 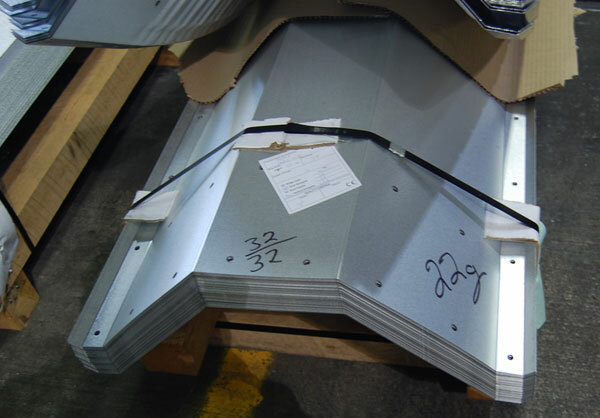 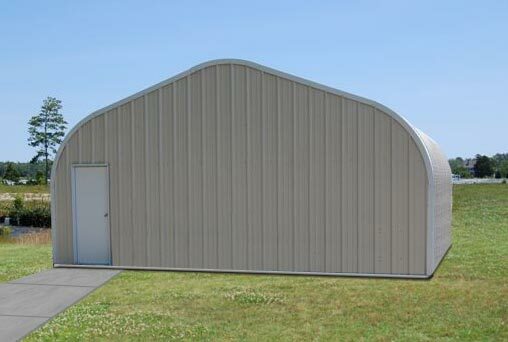 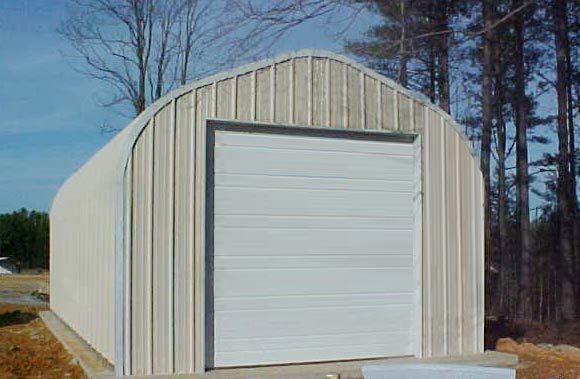 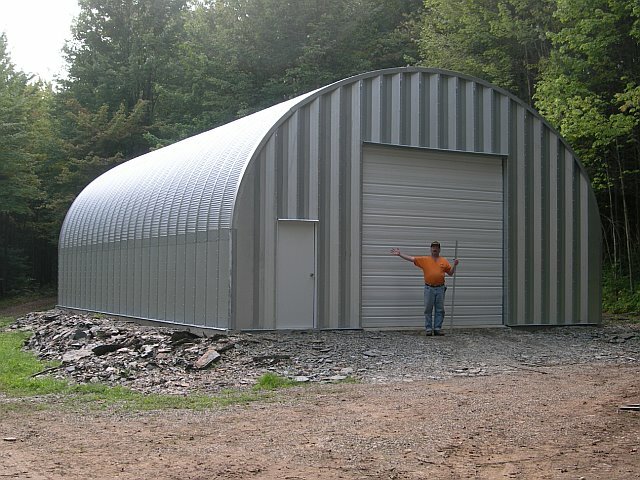 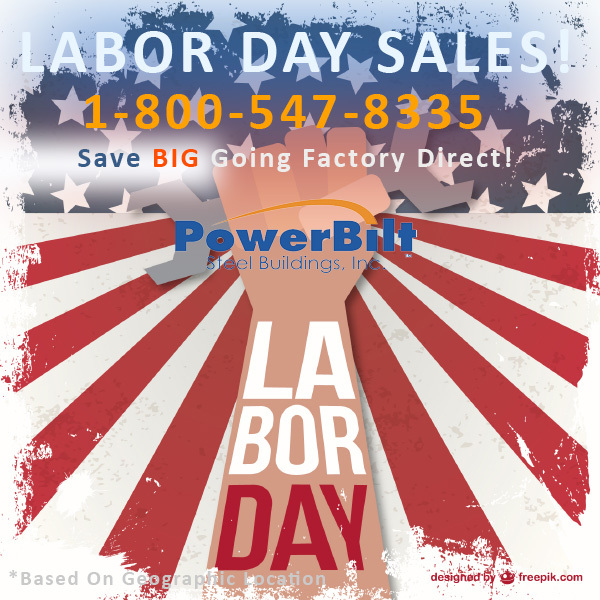 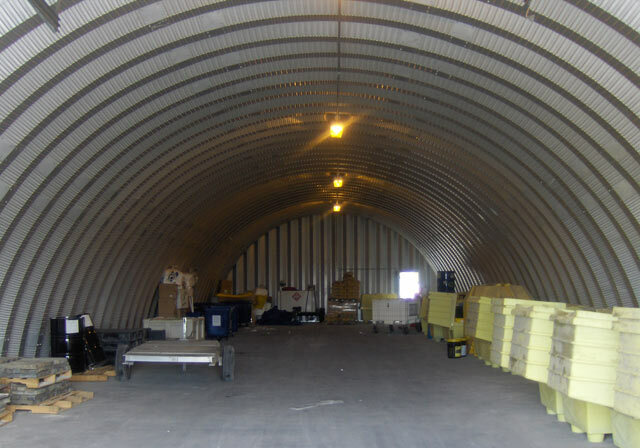 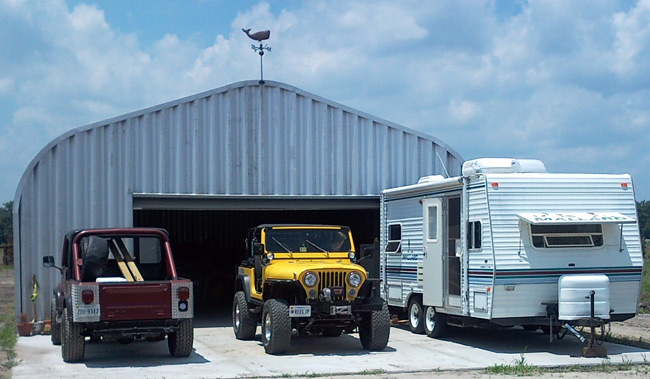 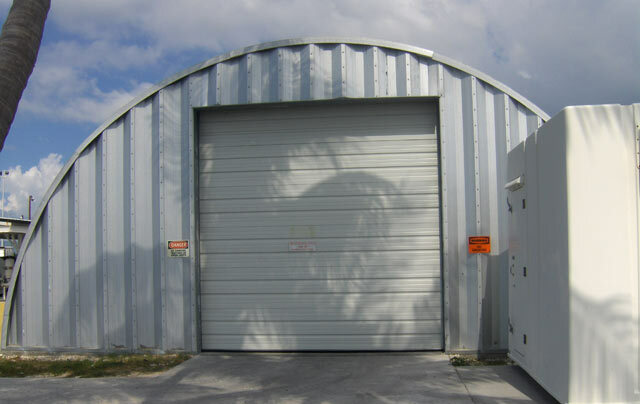 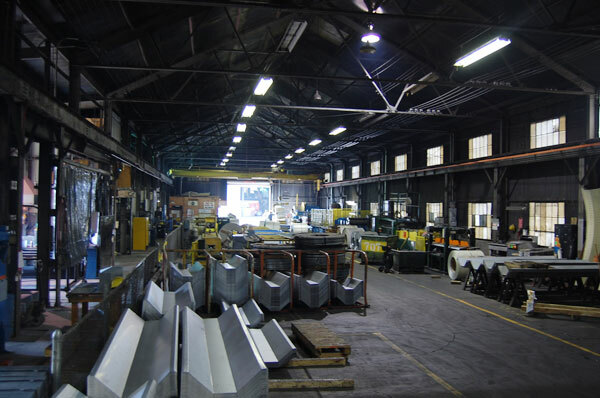 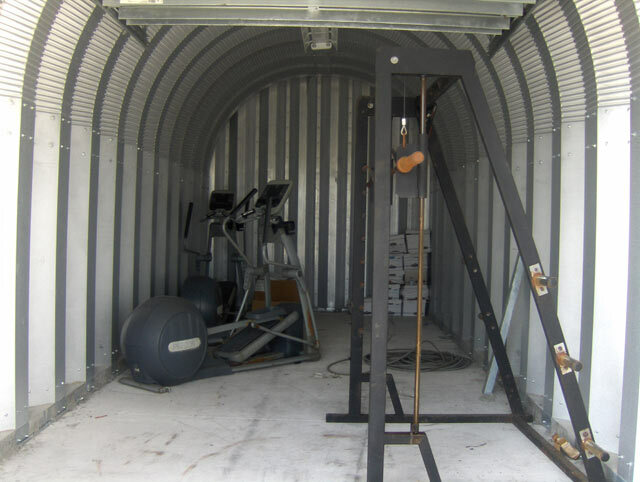 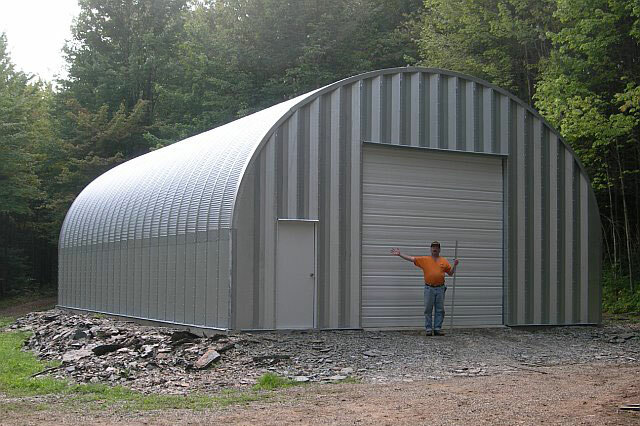 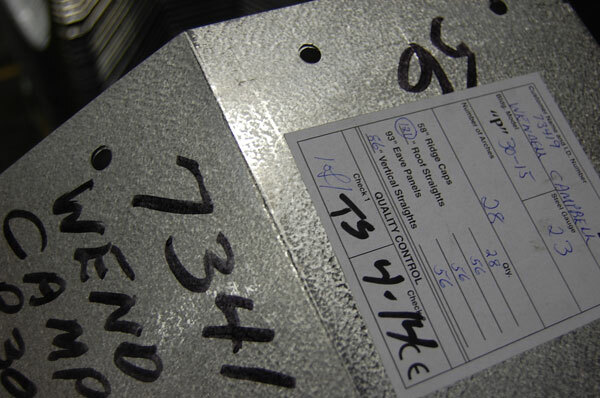 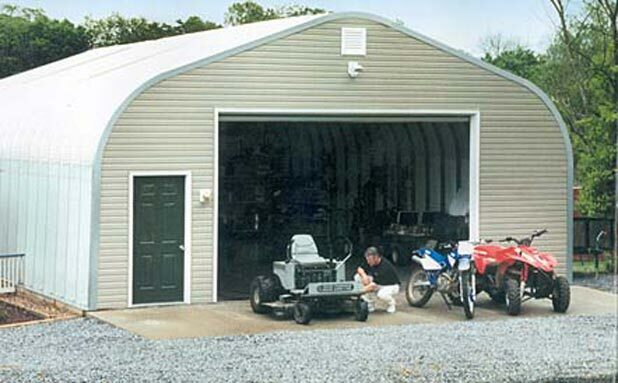 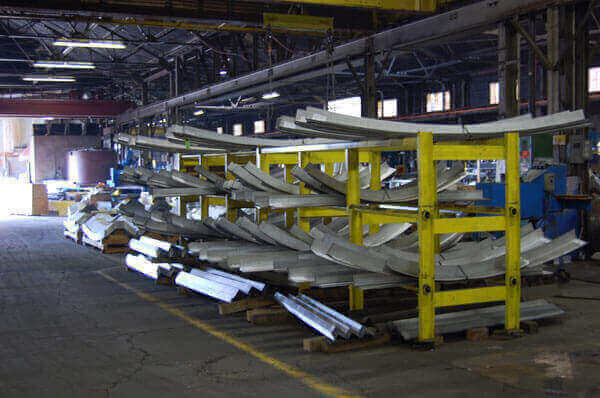 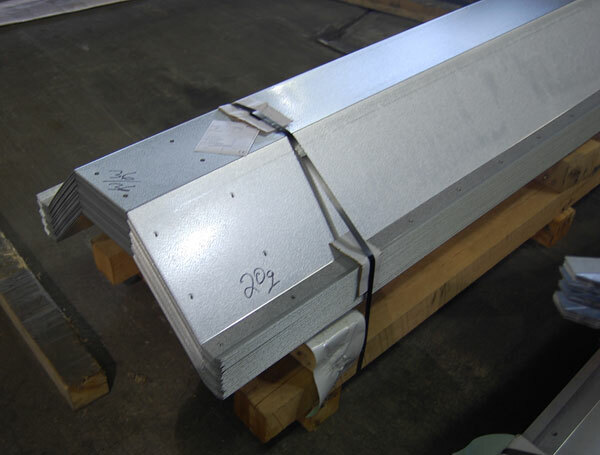 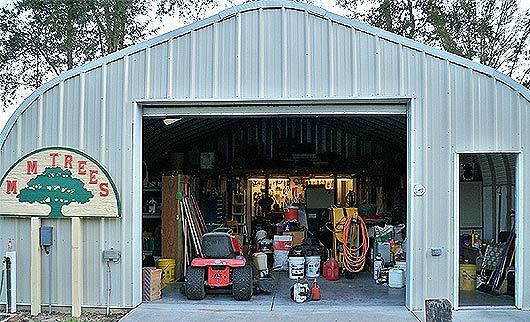 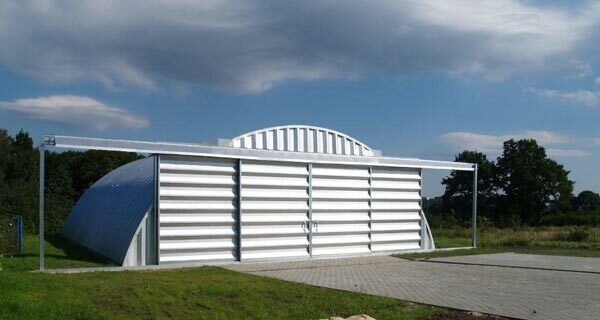 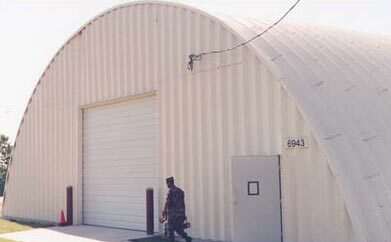 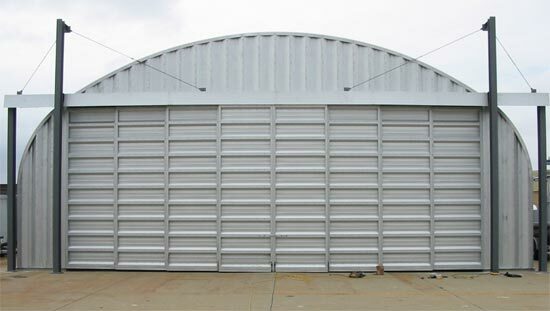 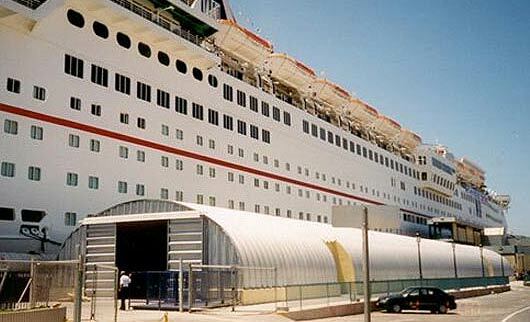 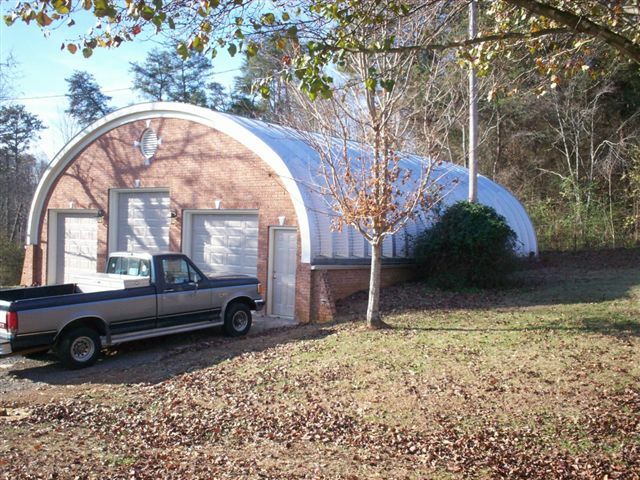 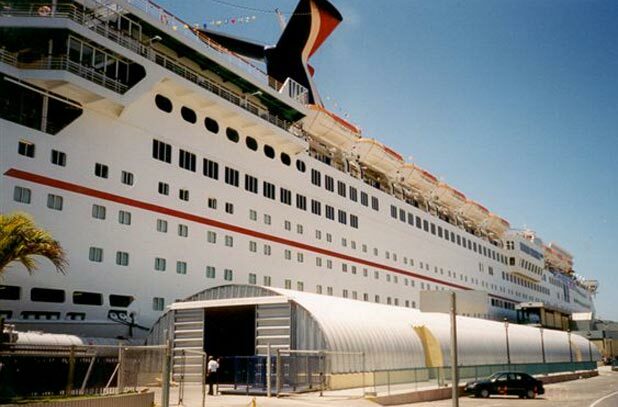 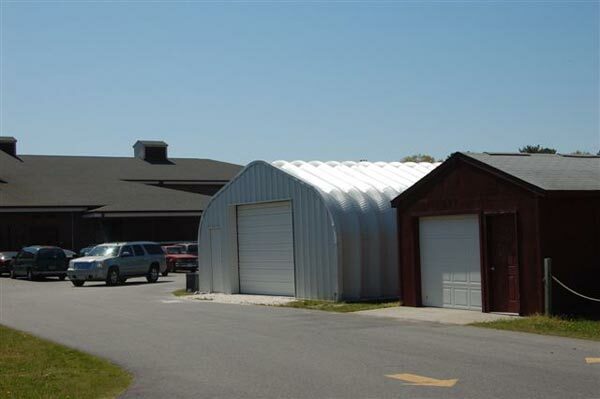 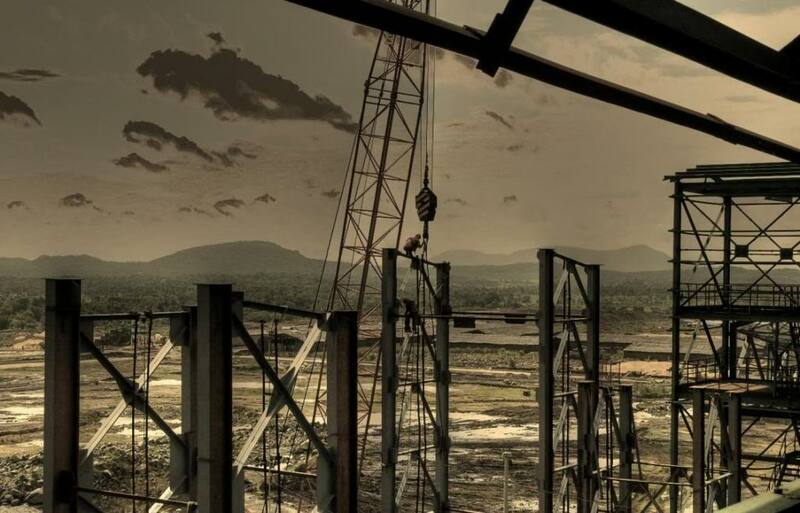 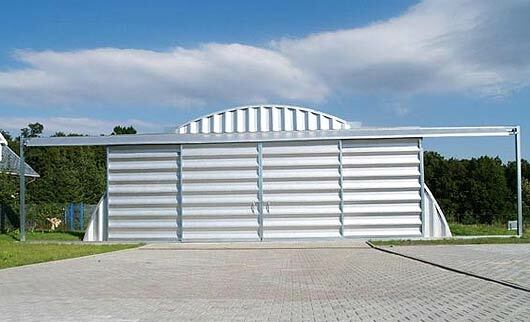 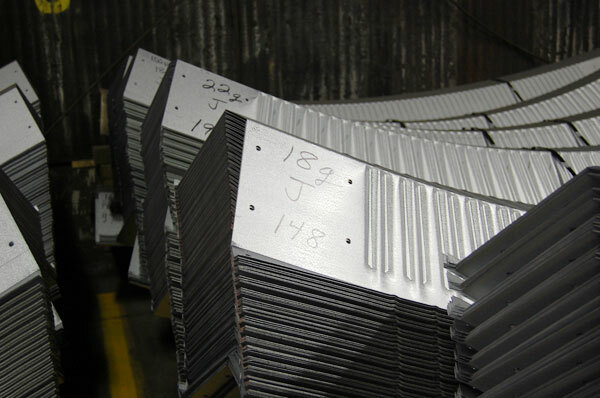 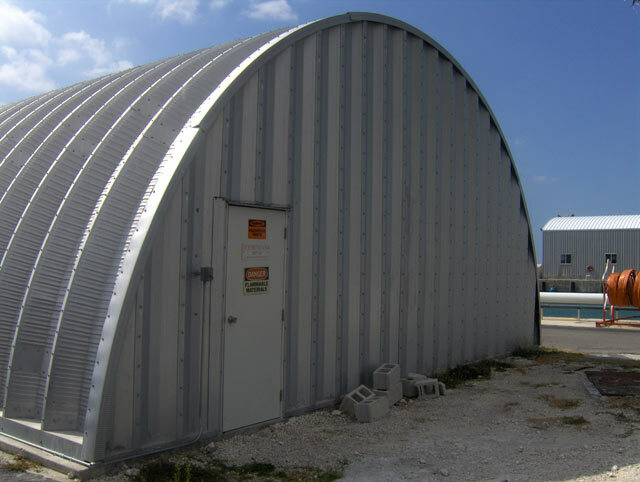 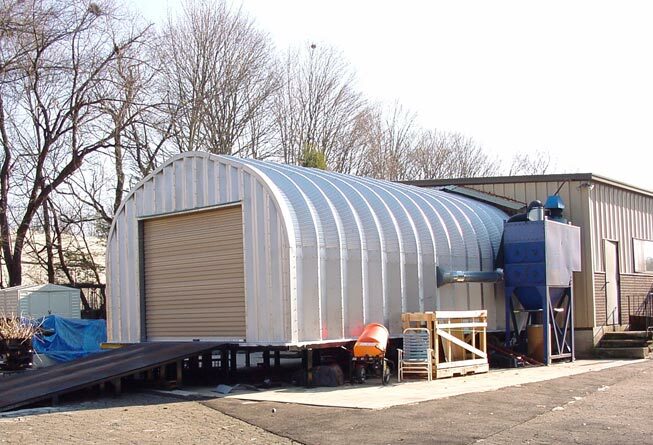 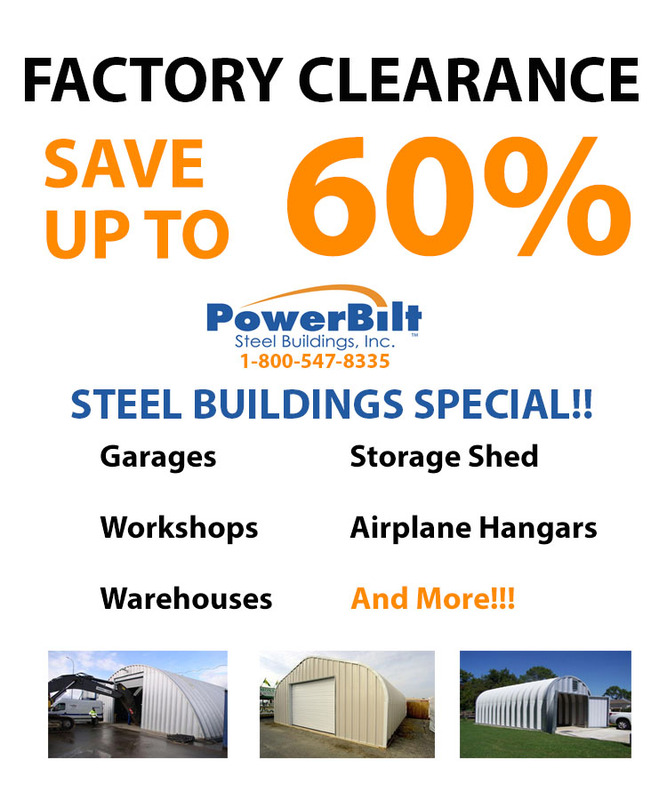 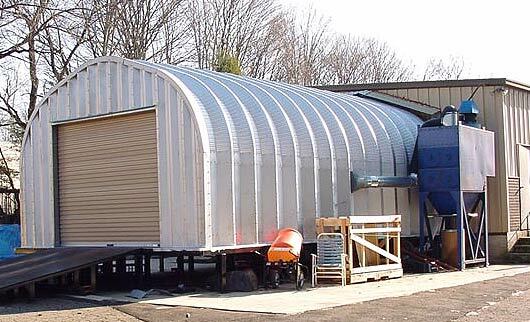 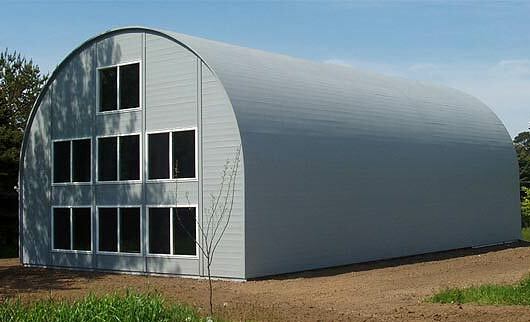 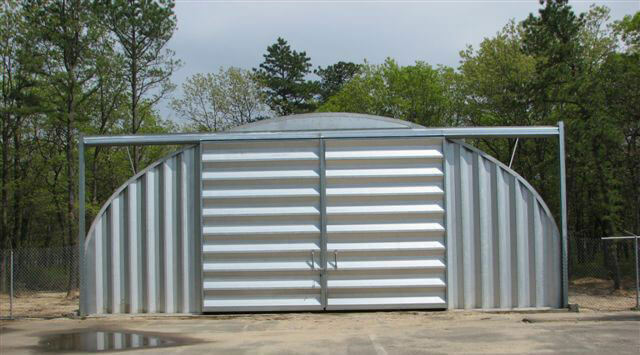 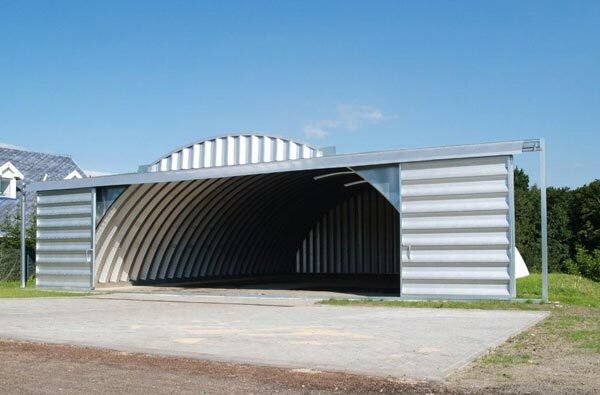 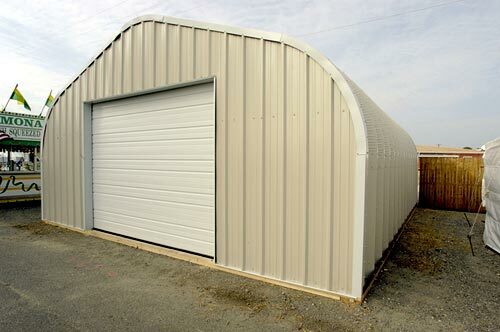 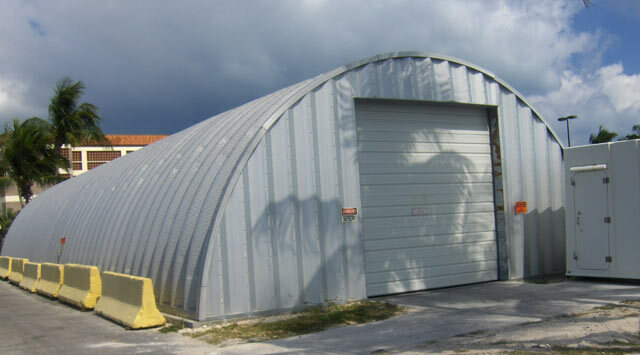 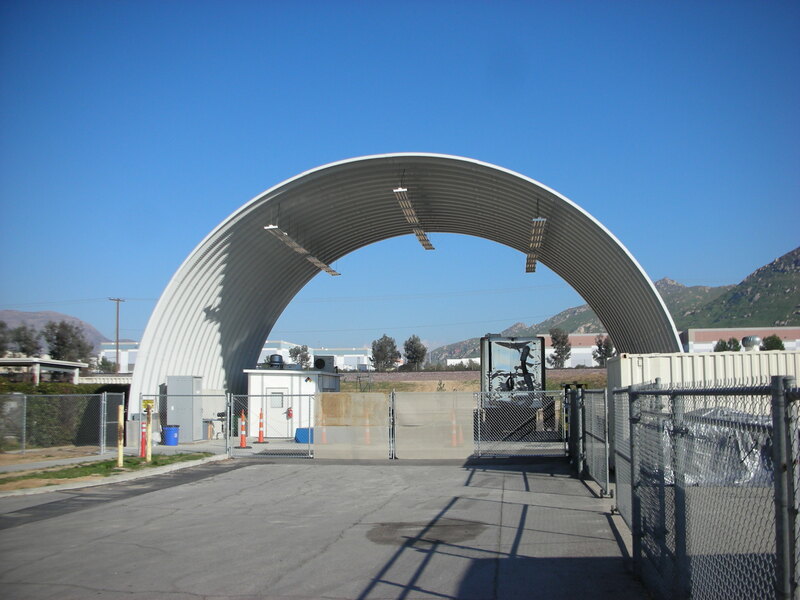 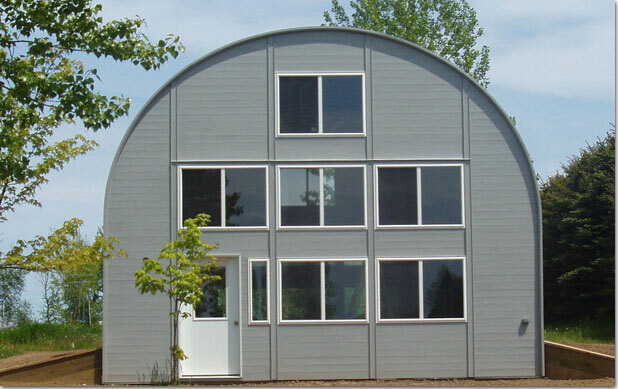 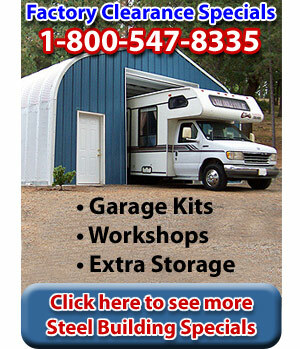 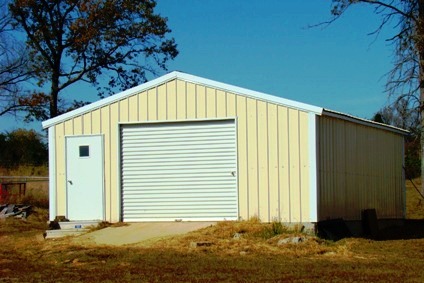 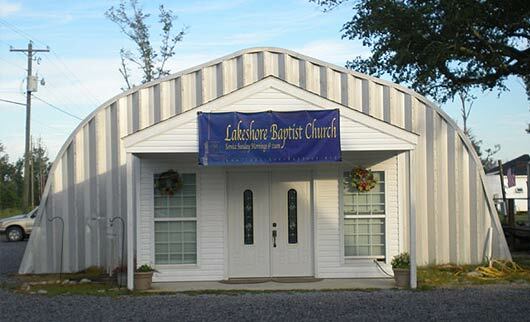 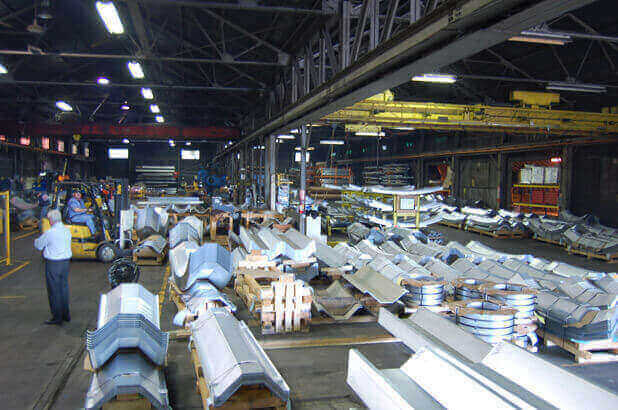 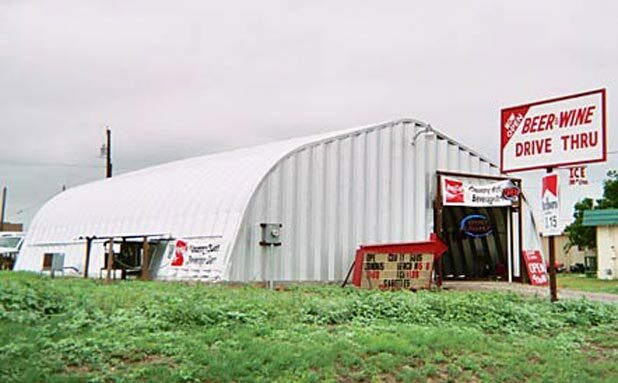 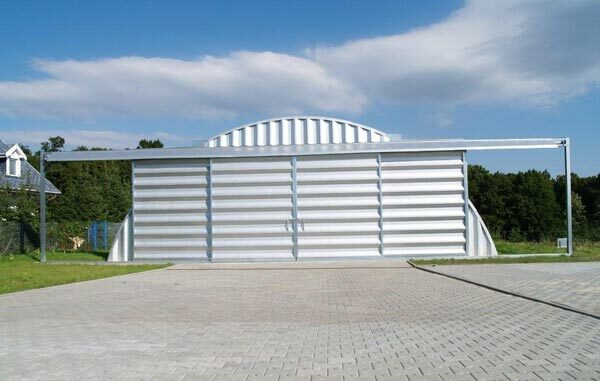 Powerbilt Steel Buildings offers Quonset Hut kits for sale in Vermont, Virginia, North Carolina, South Carolina, Florida, Georgia, Kentucky, Tennessee, Alabama, New Jersey, New York, Massachusetts, Connecticut, Rhode Island, Maine, Missouri, Kansas, California, Nevada, North Dakota, South Dakota, Illinois, Indiana, Ohio, Pennsylvania, Texas, New Mexico, Washington, Oregon, Louisiana, Colorado, Utah, Nebraska, Wyoming, West Virginia, Michigan, Wisconsin, Iowa, Arkansas, and Oklahoma.